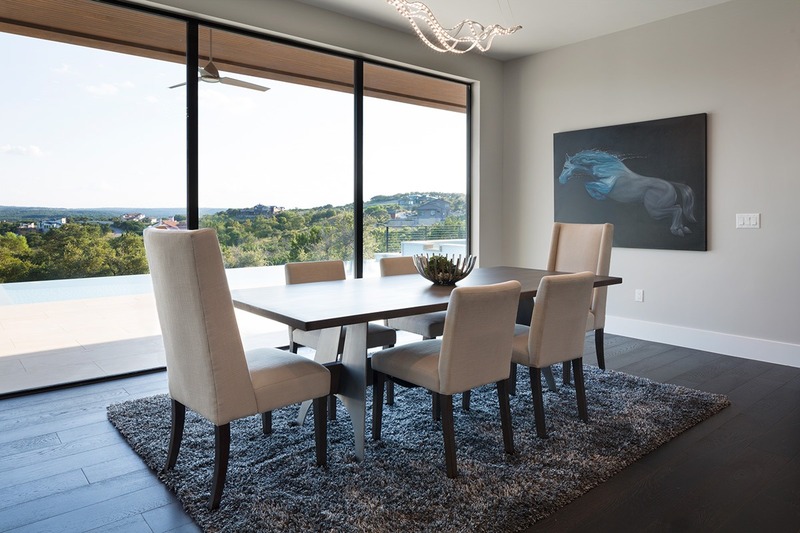 Bryant Downing, founder of Downing Homes, believes in personalized customer service and manages Downing Homes’ projects to enable him to be the primary contact for every project. 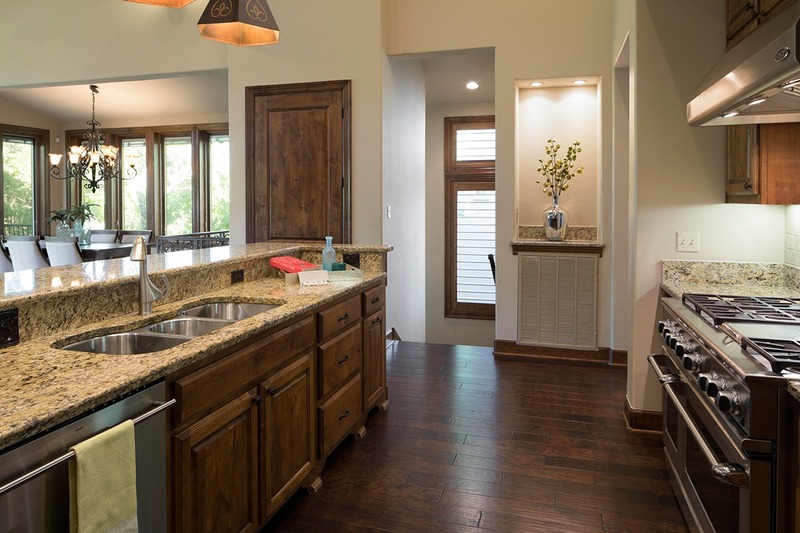 In addition to individualized service, Downing Homes ensures its clients are not just satisfied but very excited about the end product. 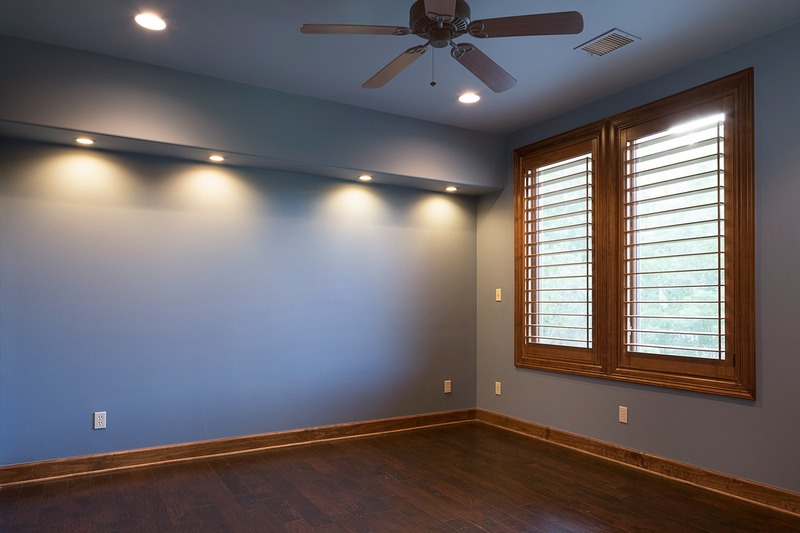 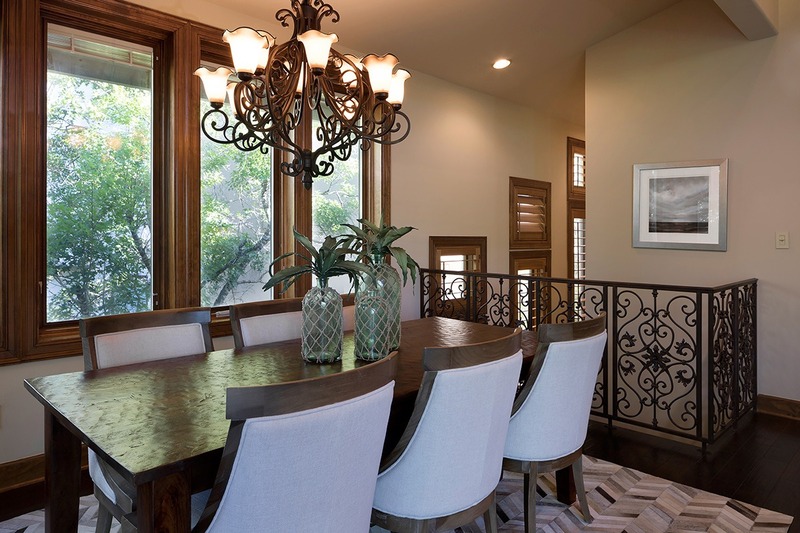 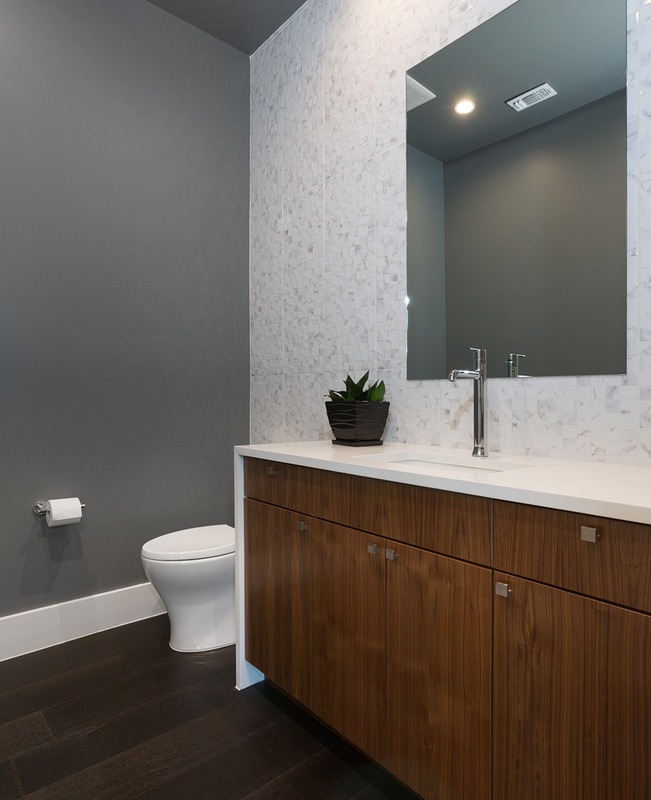 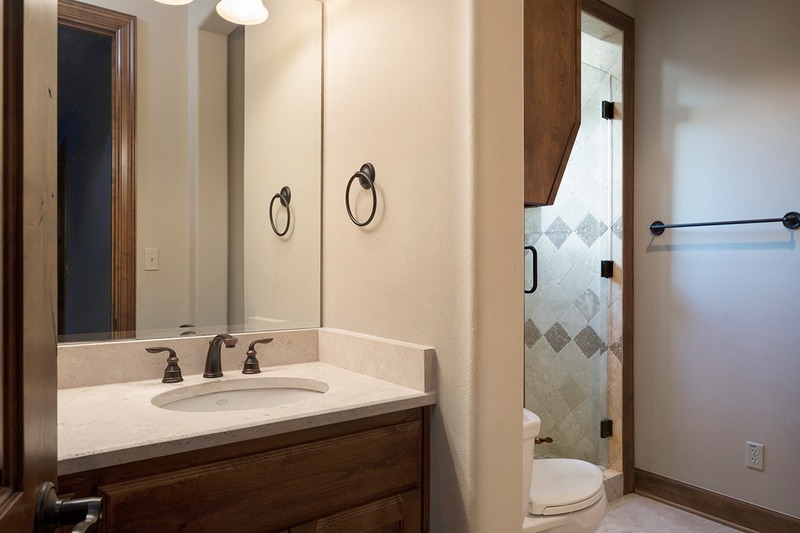 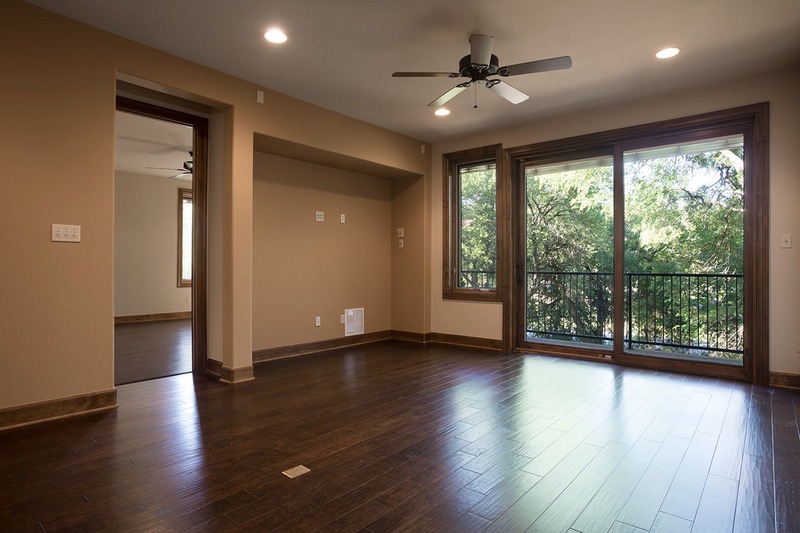 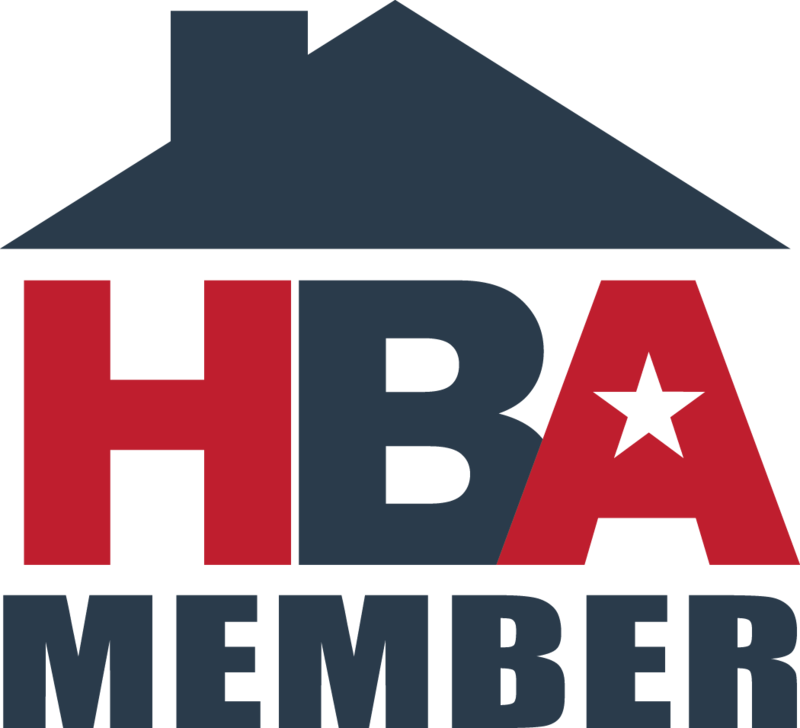 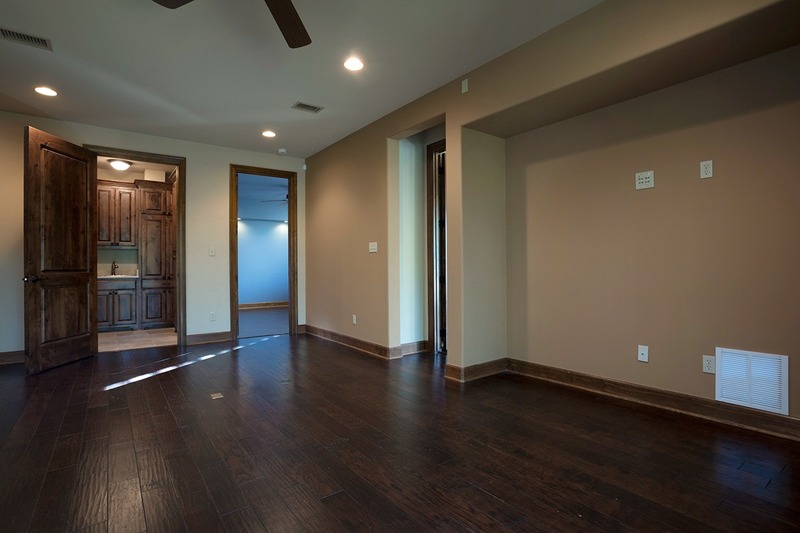 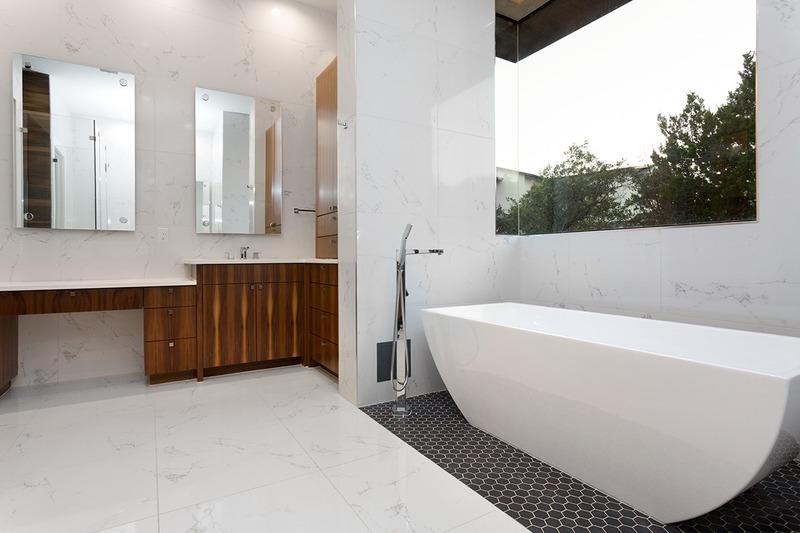 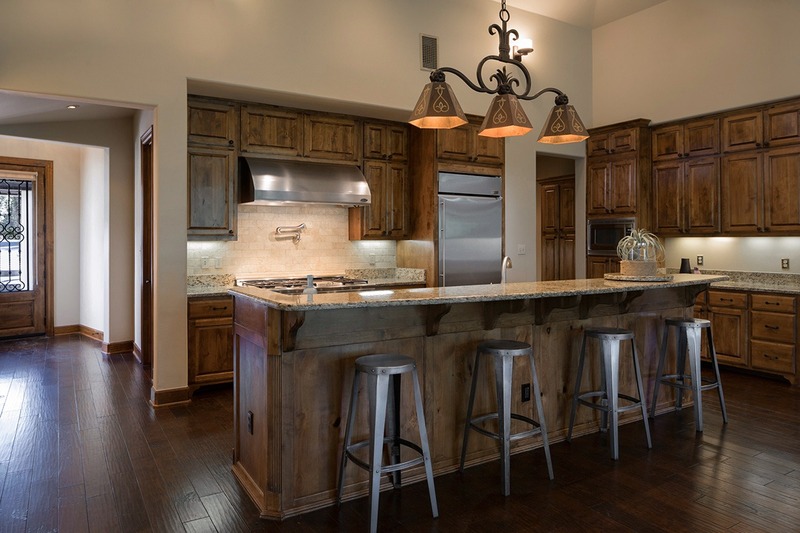 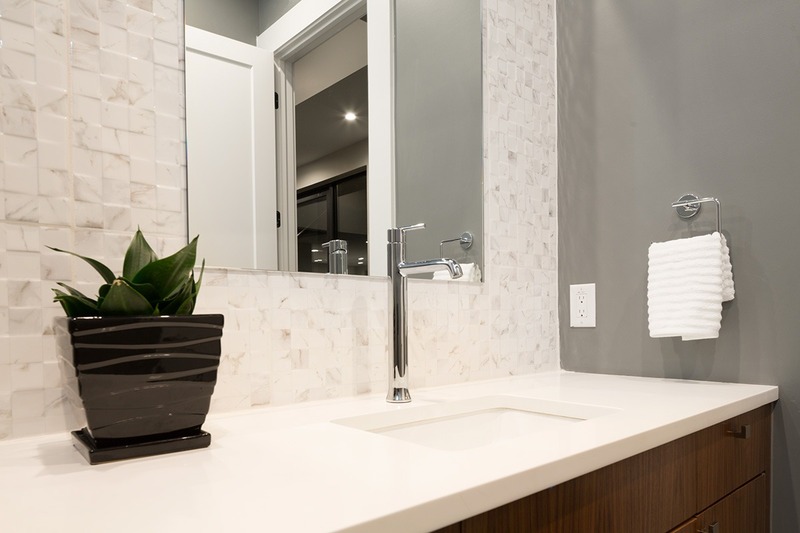 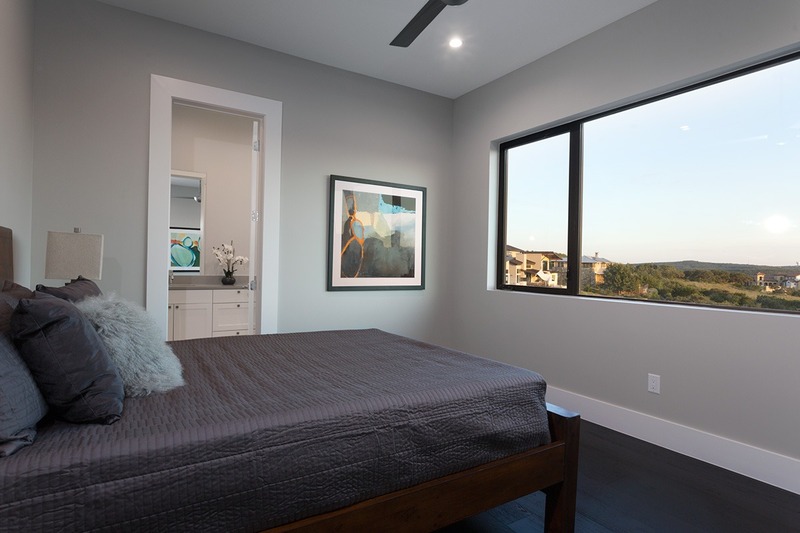 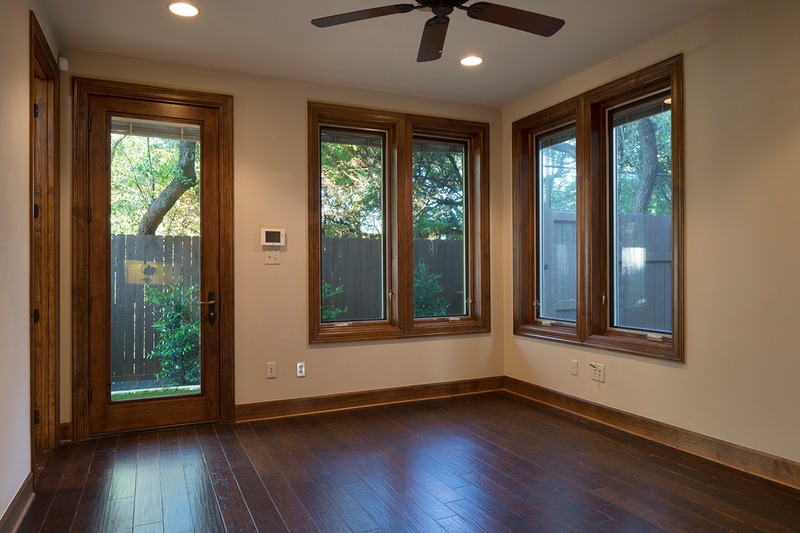 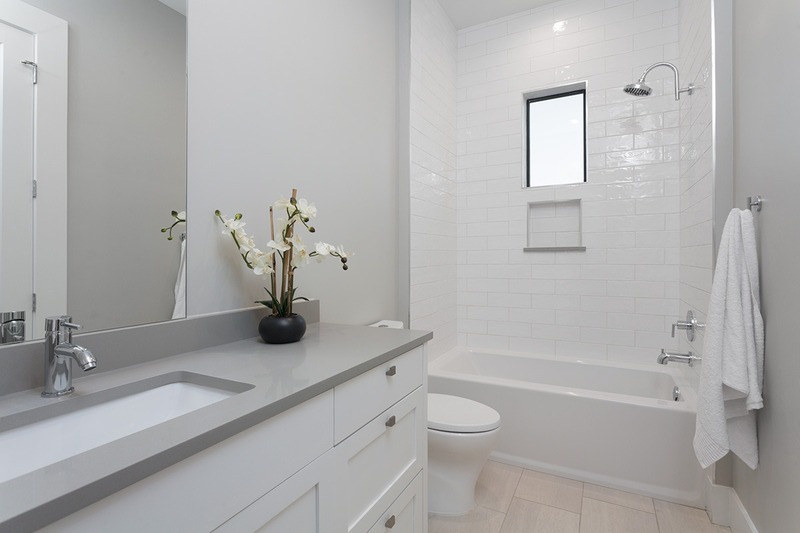 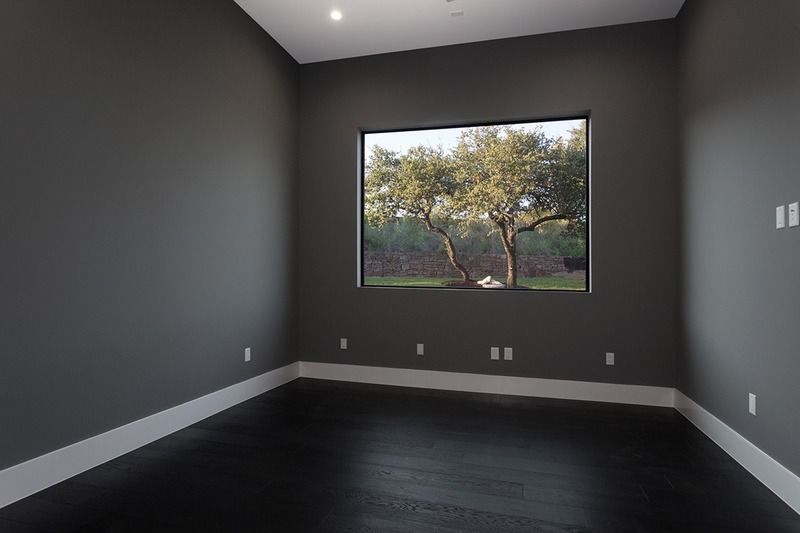 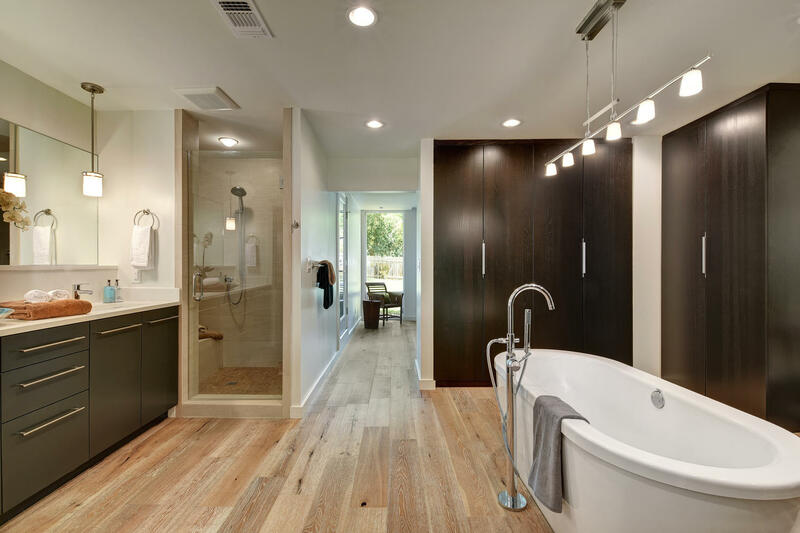 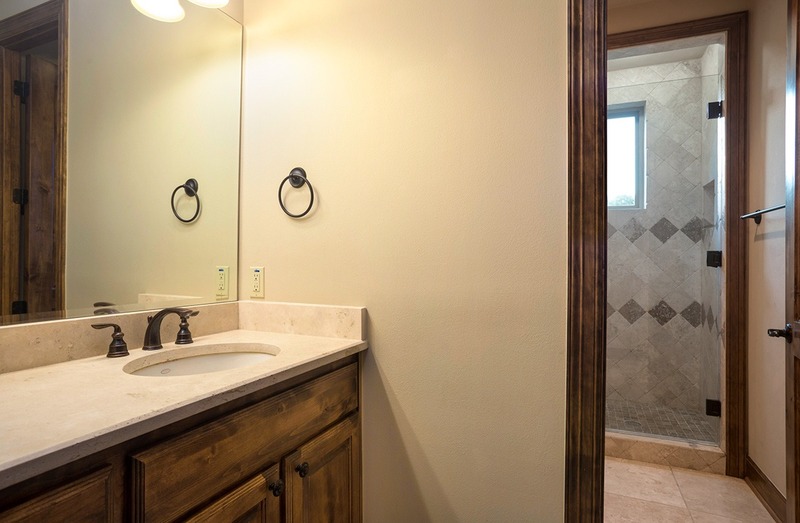 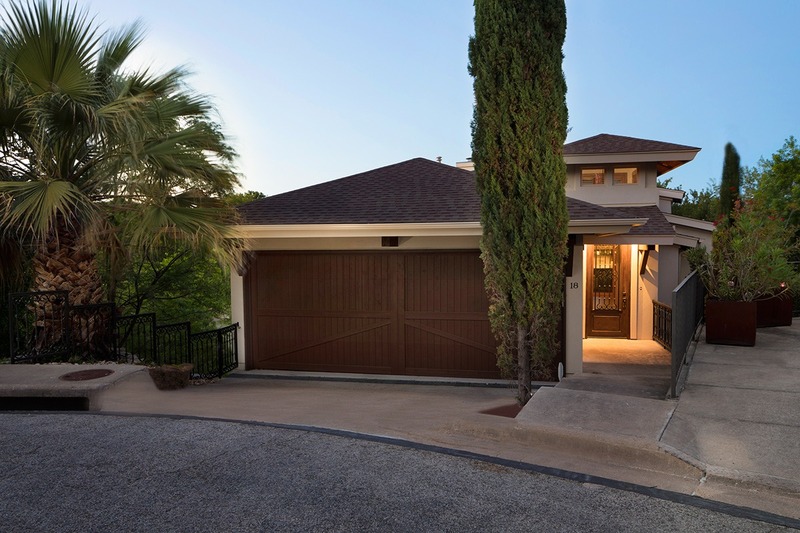 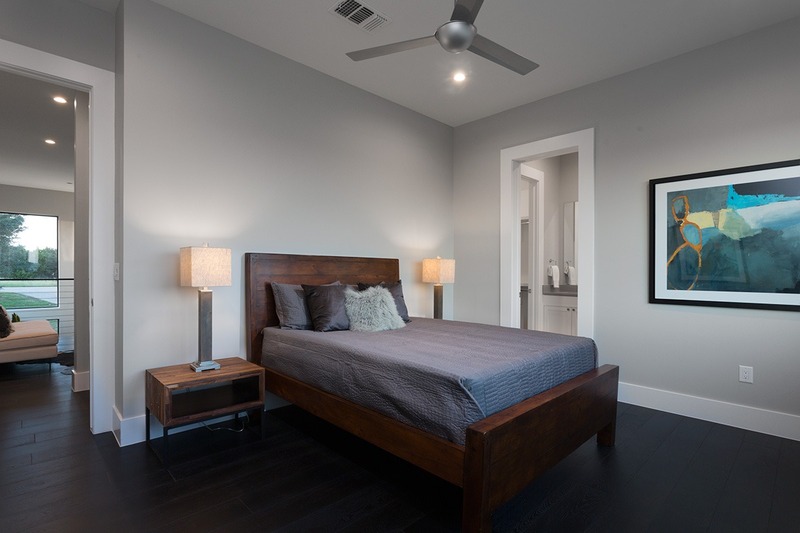 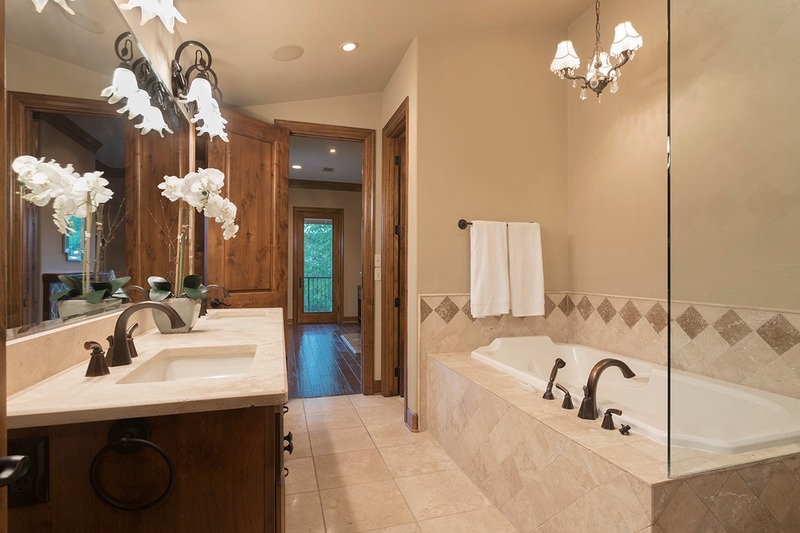 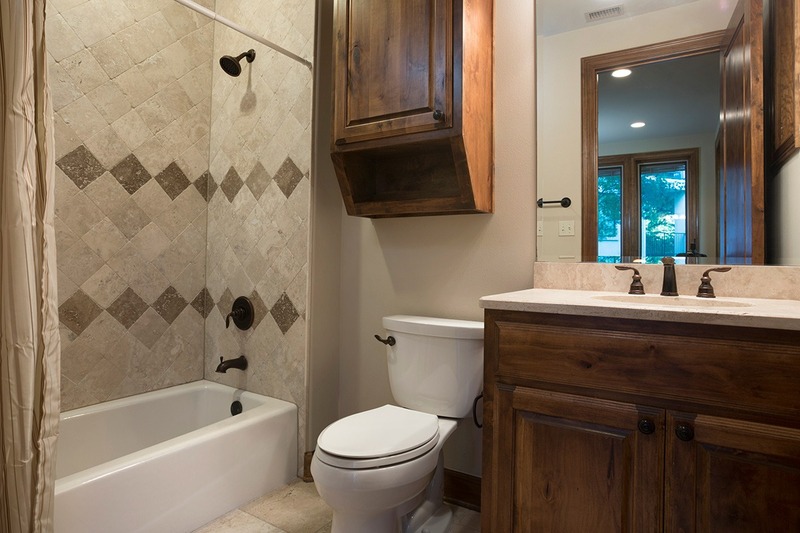 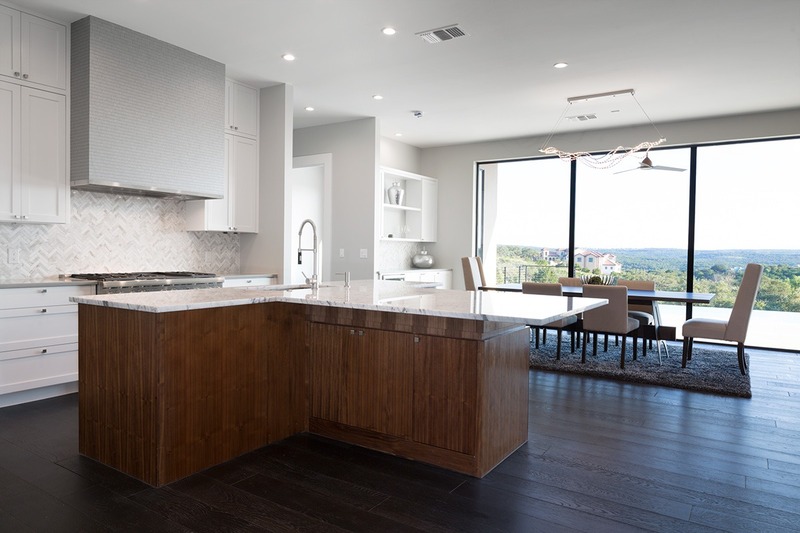 Downing Homes LLC has a long history of helping Austinites realize their dreams of new and remodeled homes and income properties. 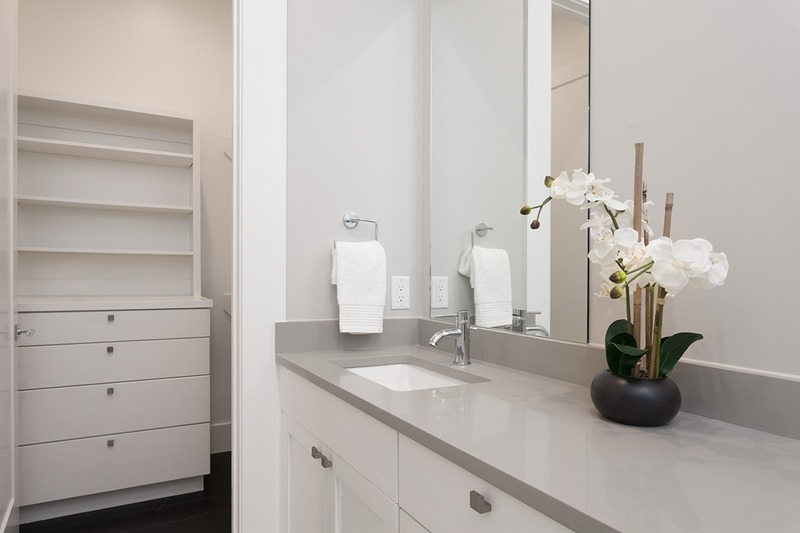 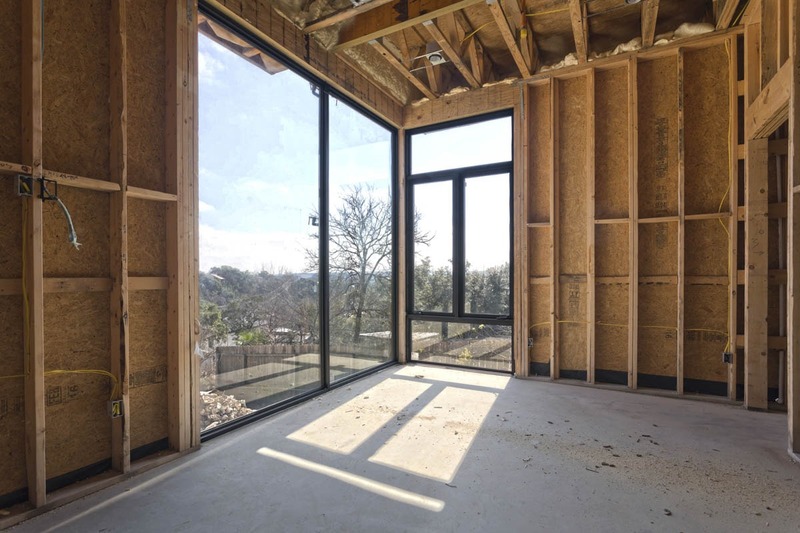 Whether it’s adding onto an existing structure, updating your home or starting from the ground up, Downing Homes has experience with the entire range of services. 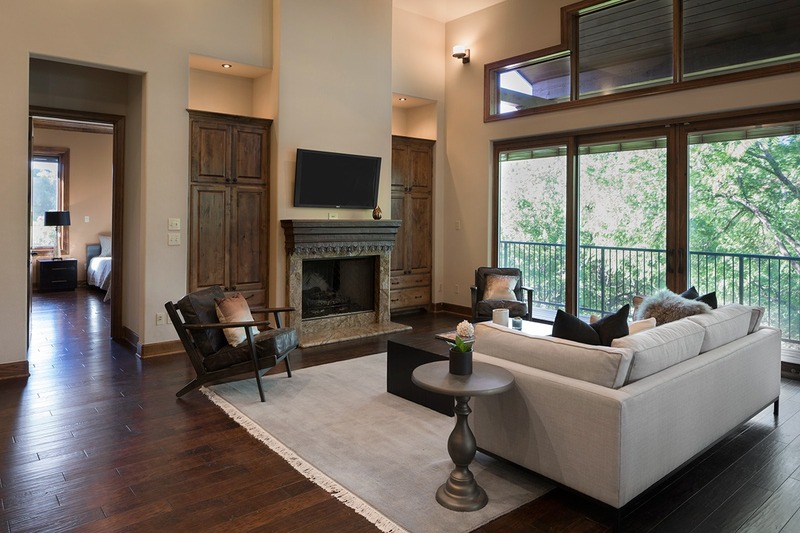 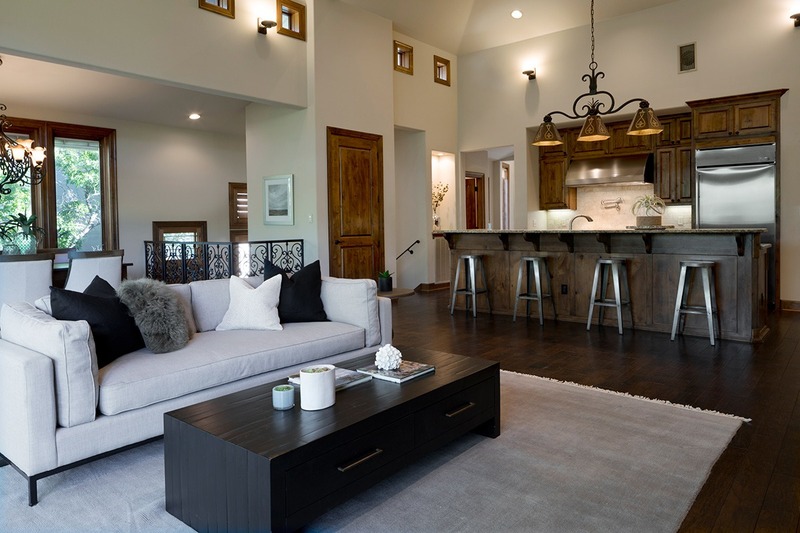 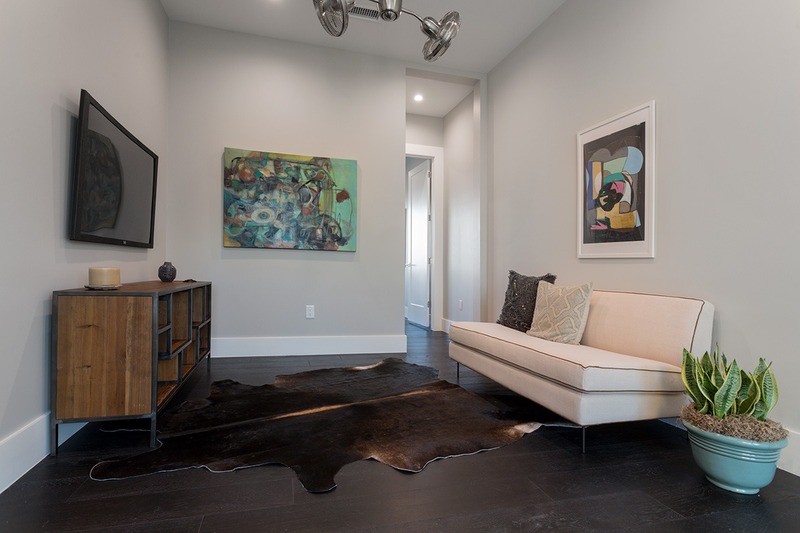 Downing Homes appreciates that each of our clients has their own style; we bring our experience with traditional, contemporary and modern homes to bear for our clients. 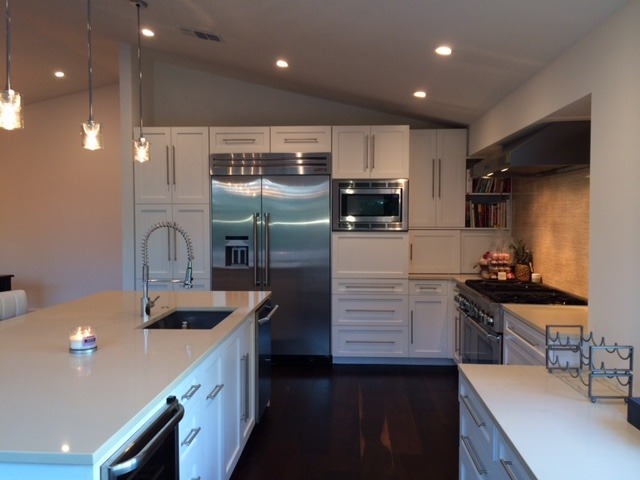 Our commitment is to quality, service and exceeding our client’s expectations. 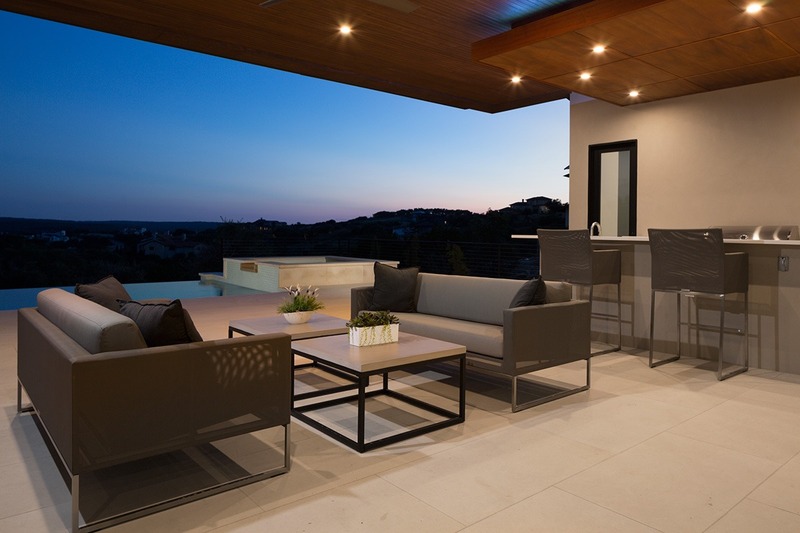 Downing Homes has established relationships with architects and designers to help bring your visions into reality. 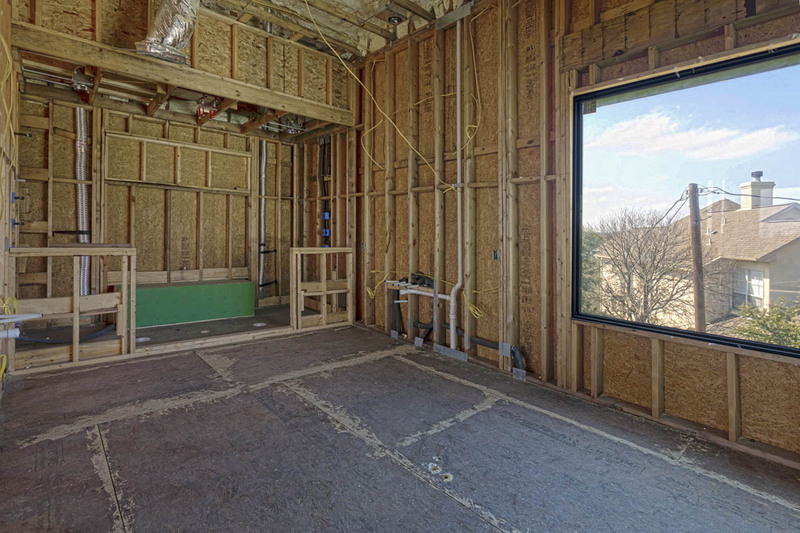 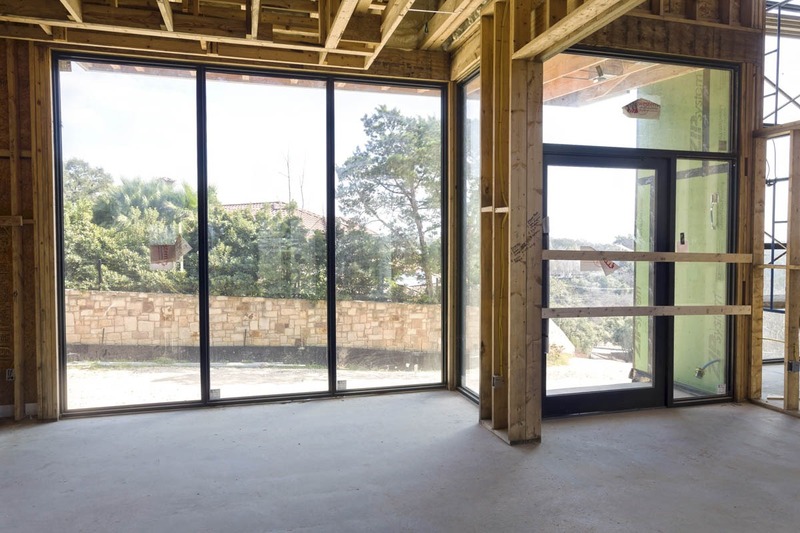 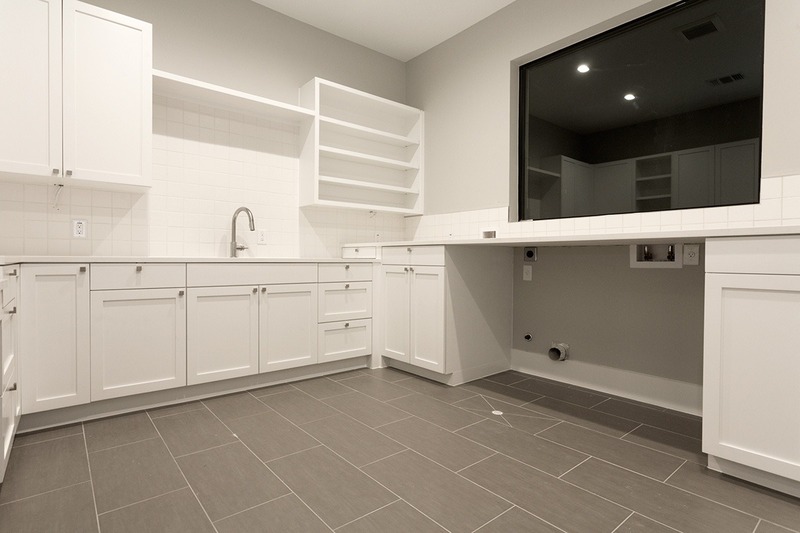 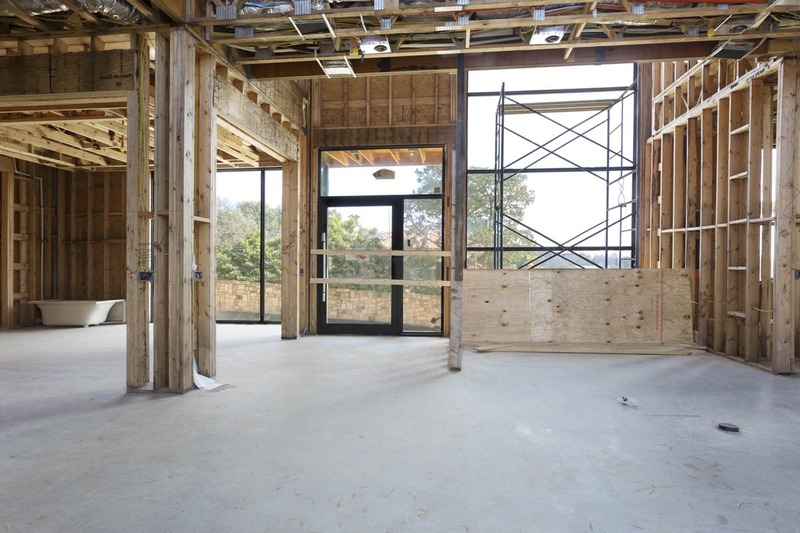 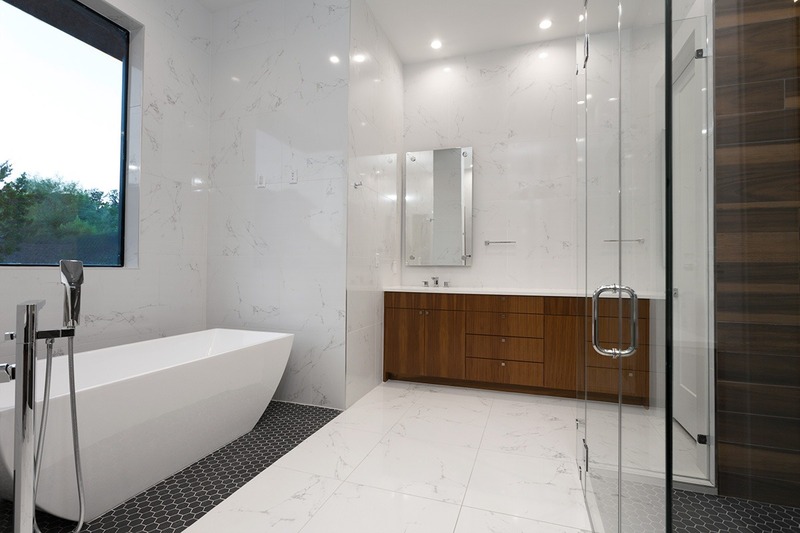 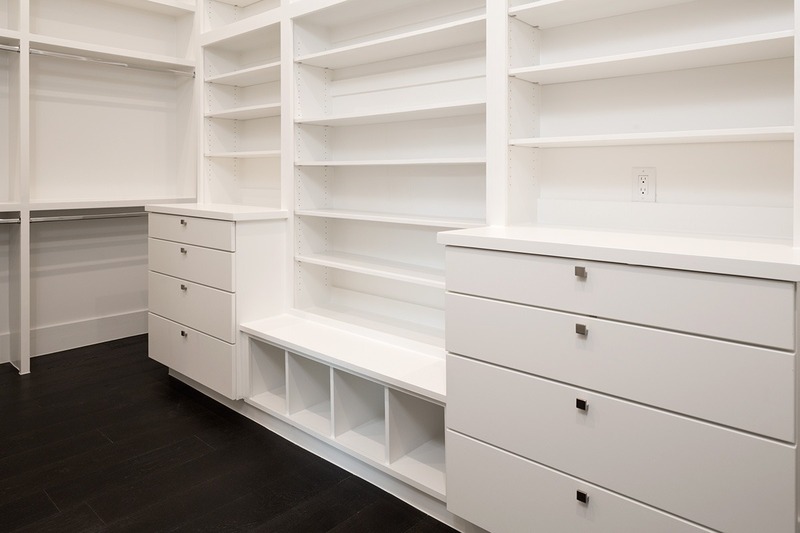 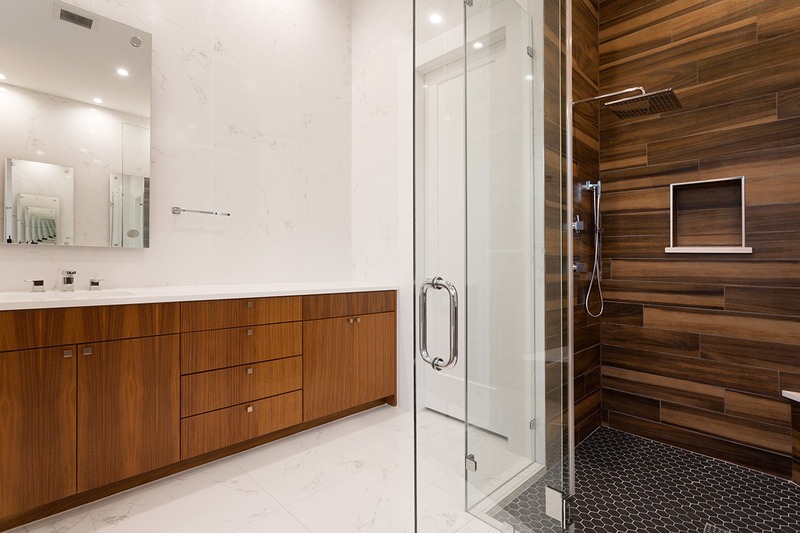 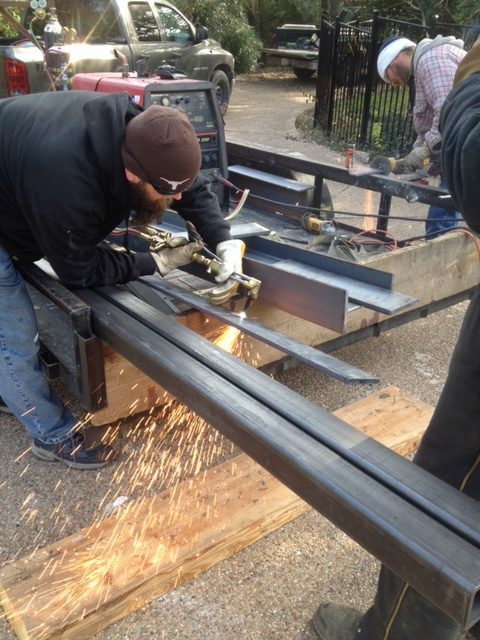 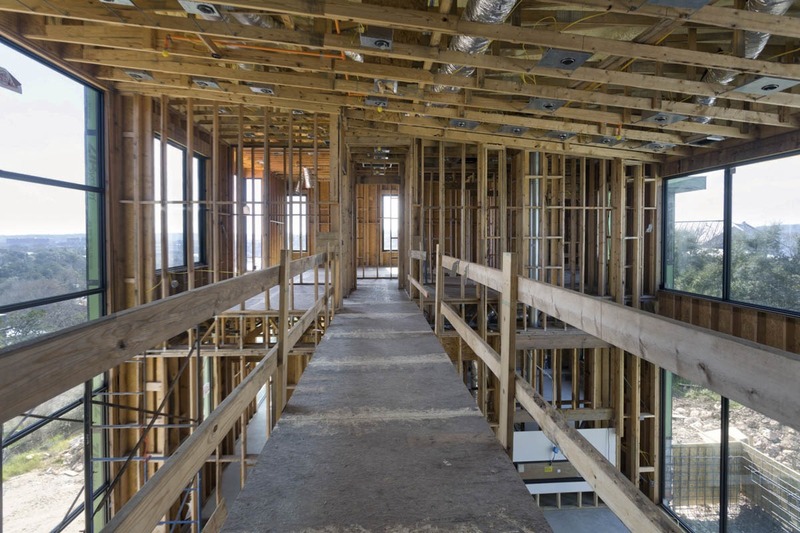 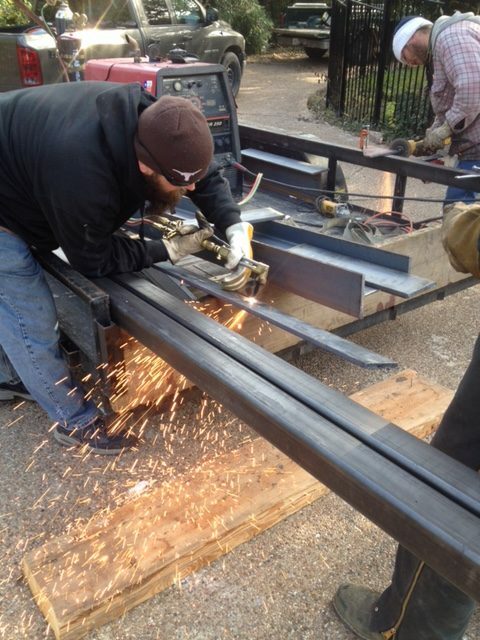 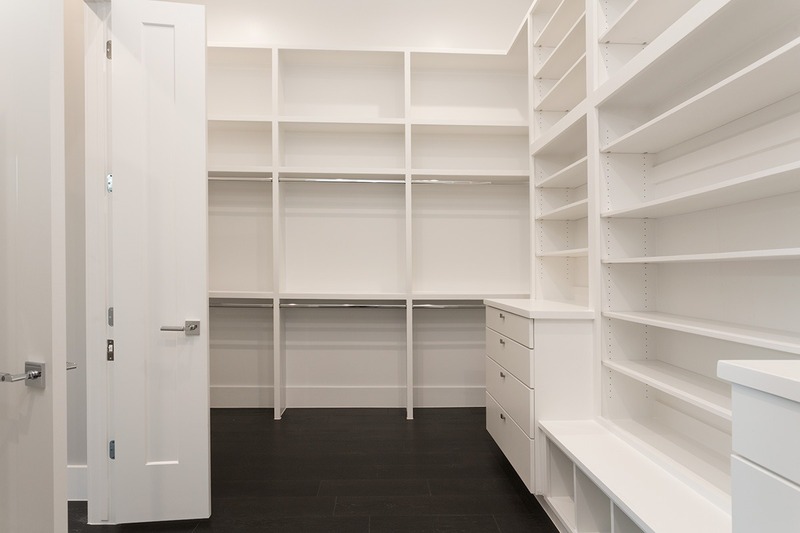 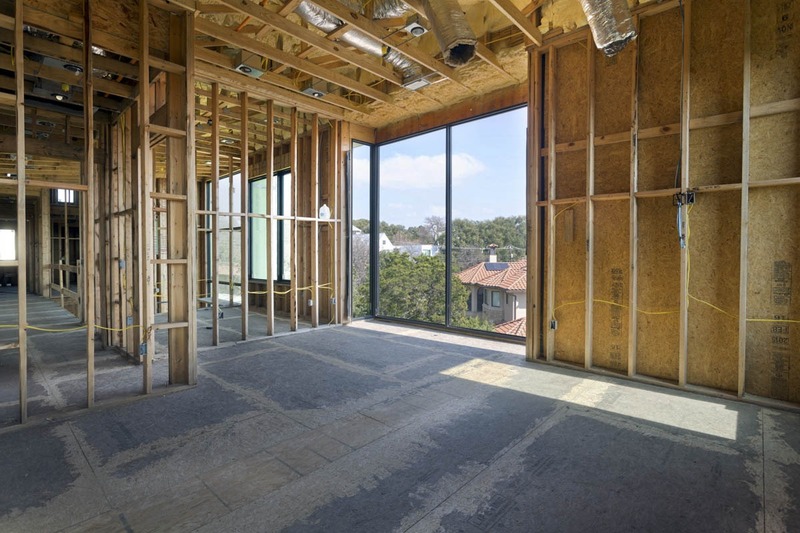 We can go beyond general contracting and build services when you want an experienced partner to walk you through the entire design and build process. 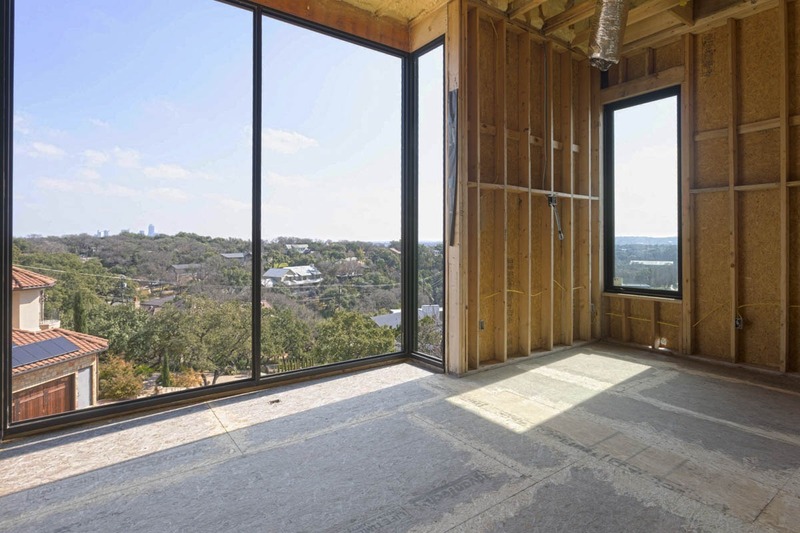 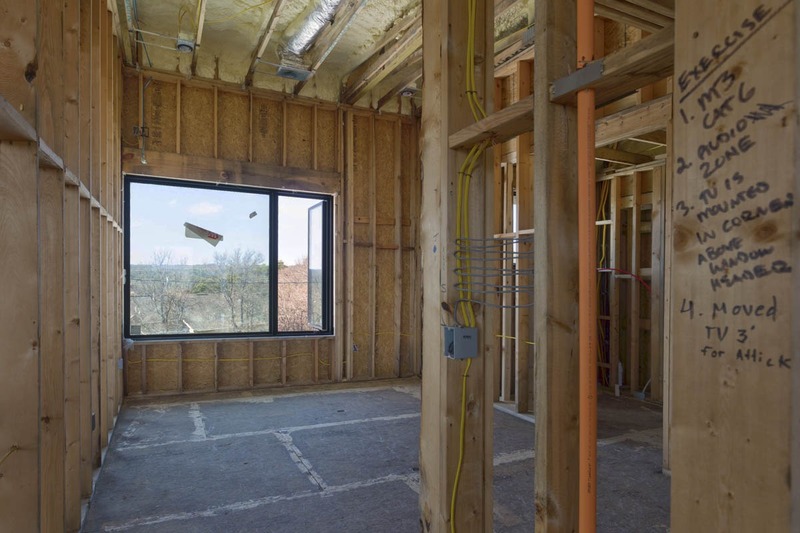 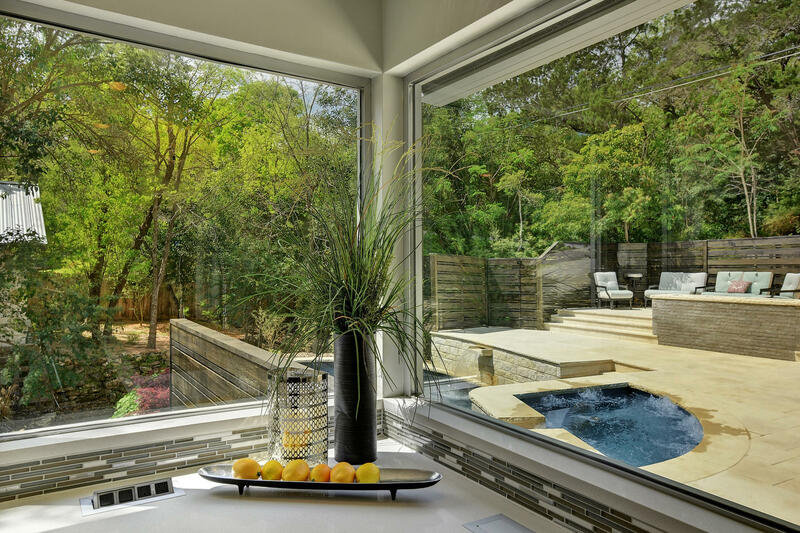 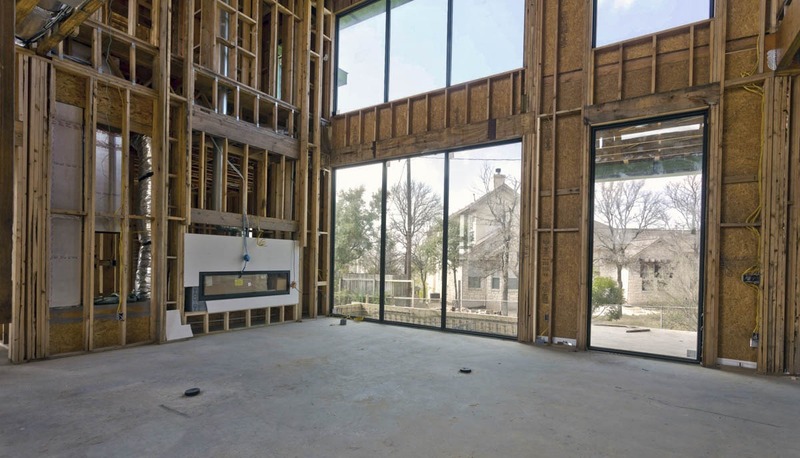 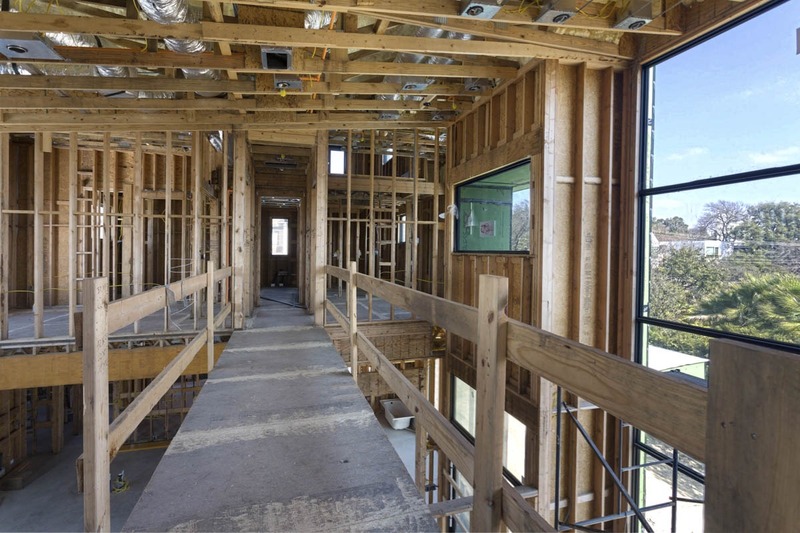 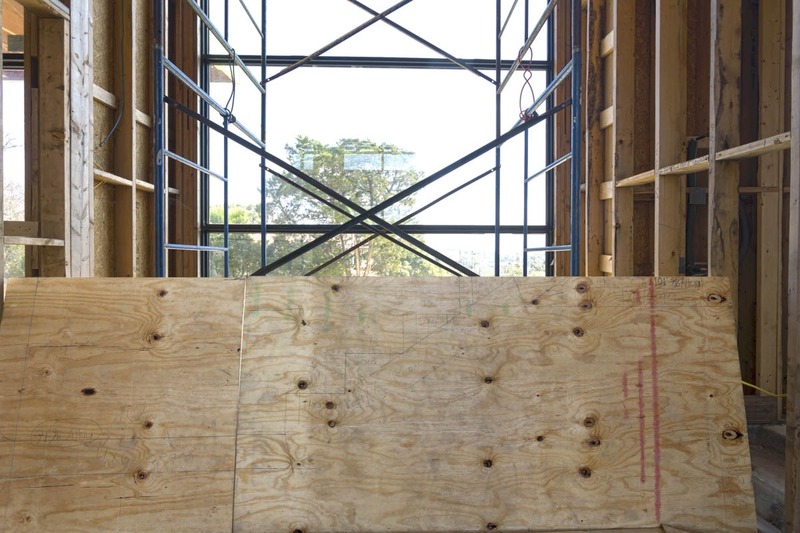 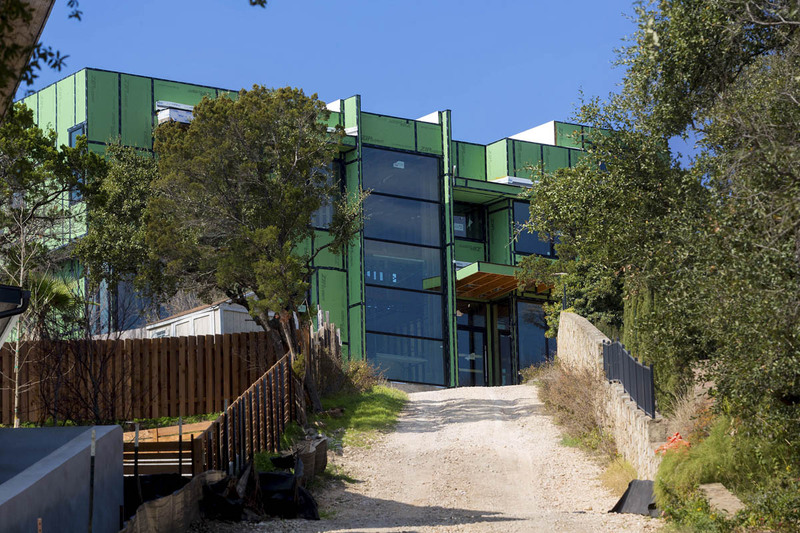 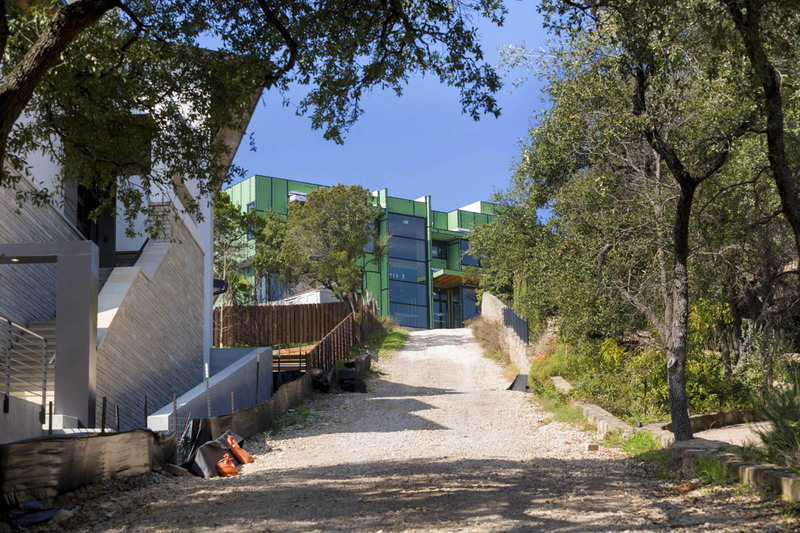 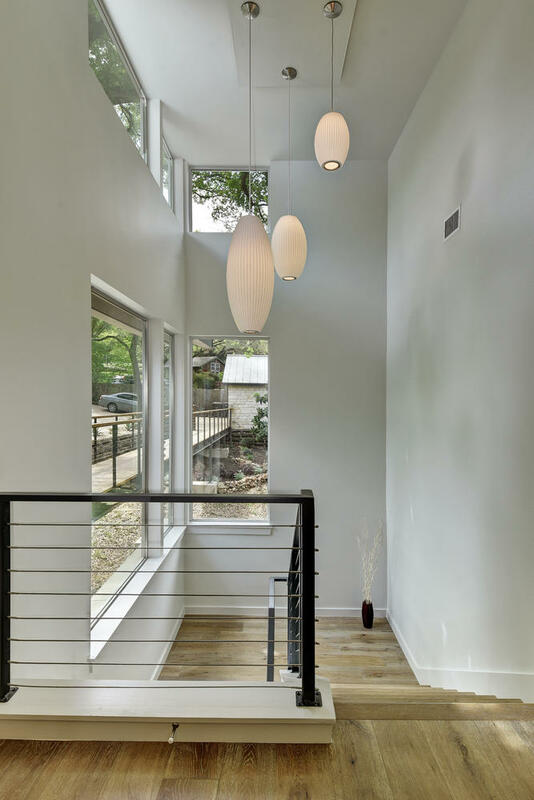 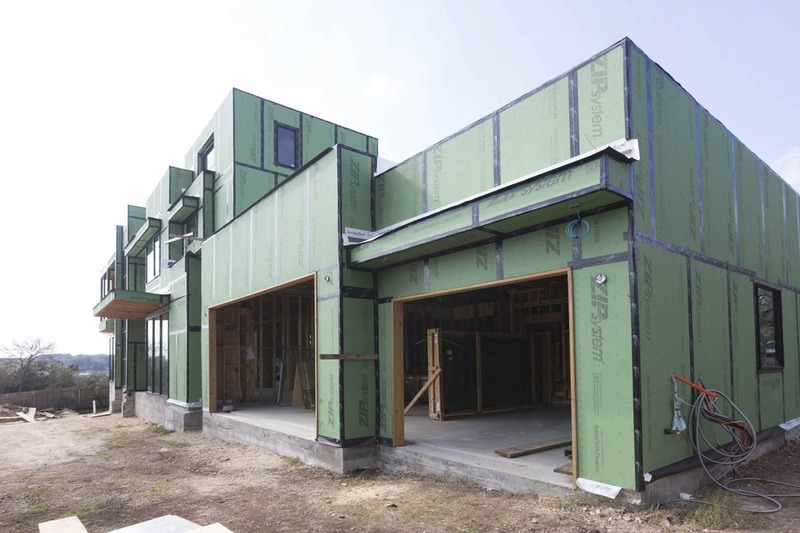 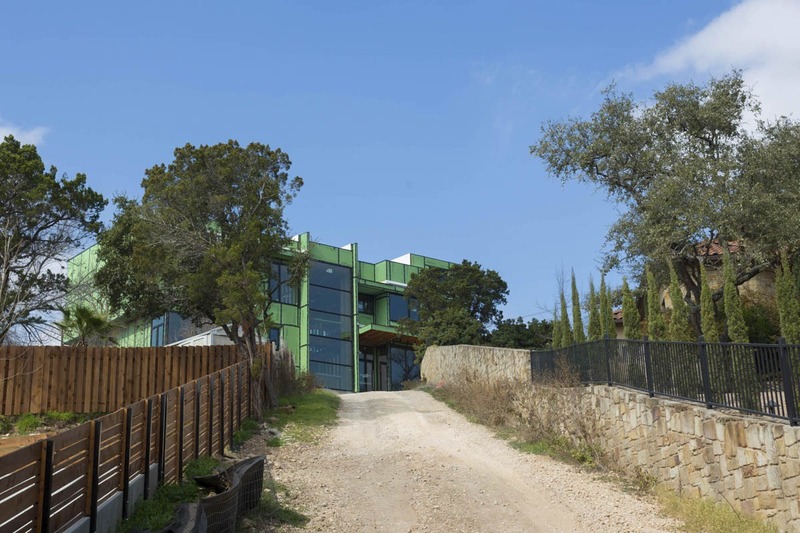 Downing Homes has extensive experience working with complex building restrictions and permitting as well as challenging landscapes in ETJ (Extra-territorial jurisdiction), West Lake Hills, Rollingwood, Lakeway, Austin and Spanish Oaks. 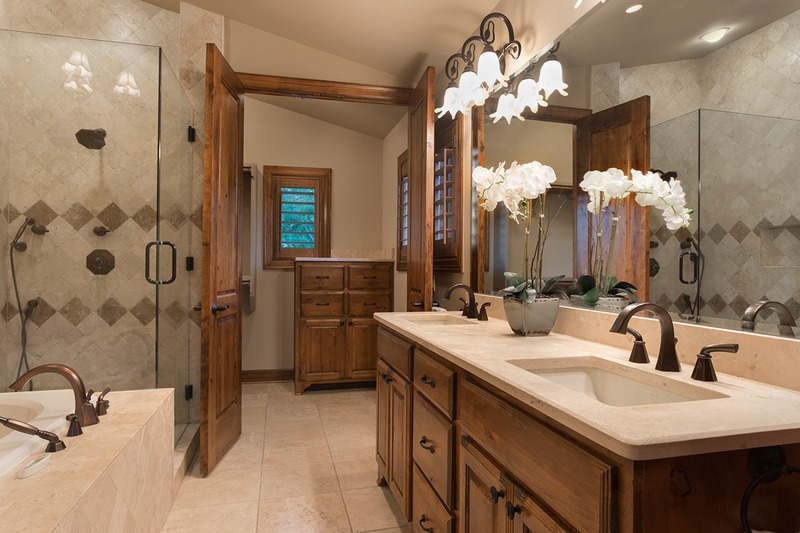 Let us show you why we have so many repeat clients! 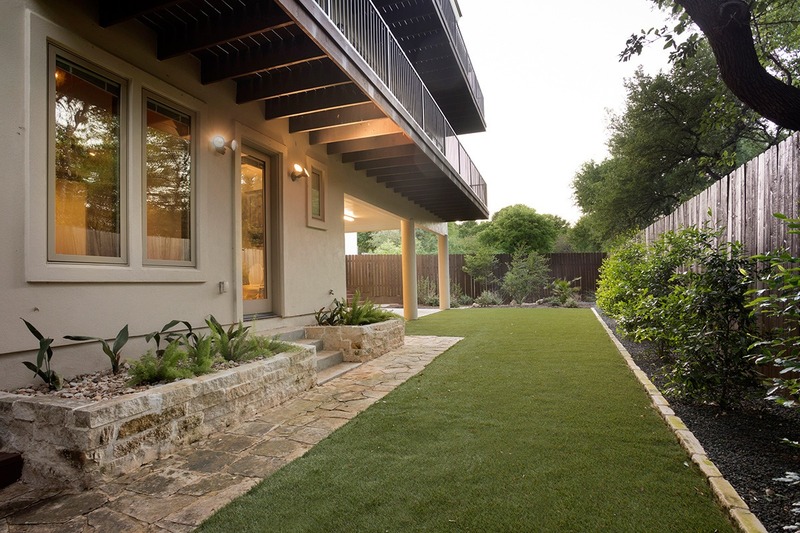 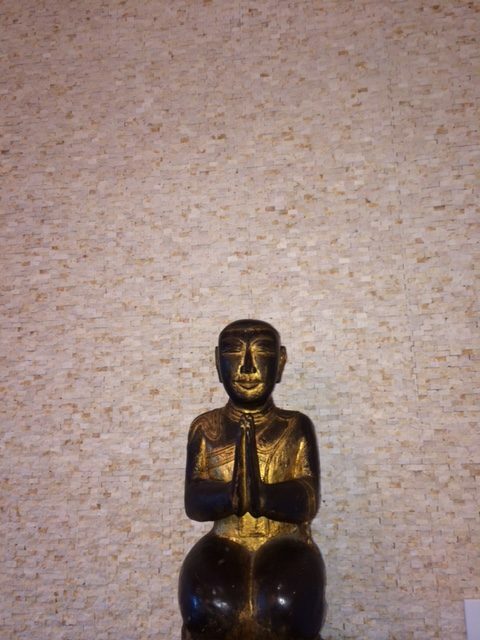 Feel free to give us a call, send an email or just drop by. 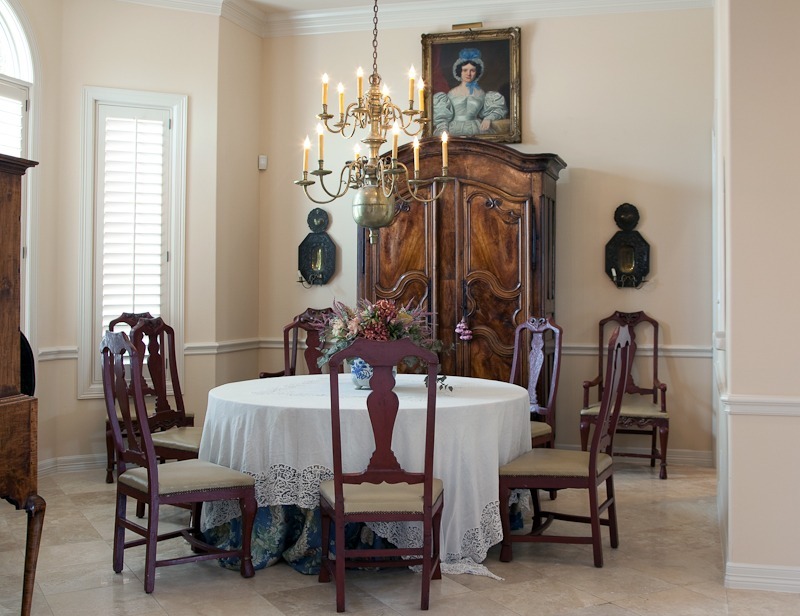 This project was a large-scale remodel in which we worked with artisans to create a unique feel for this traditional home. 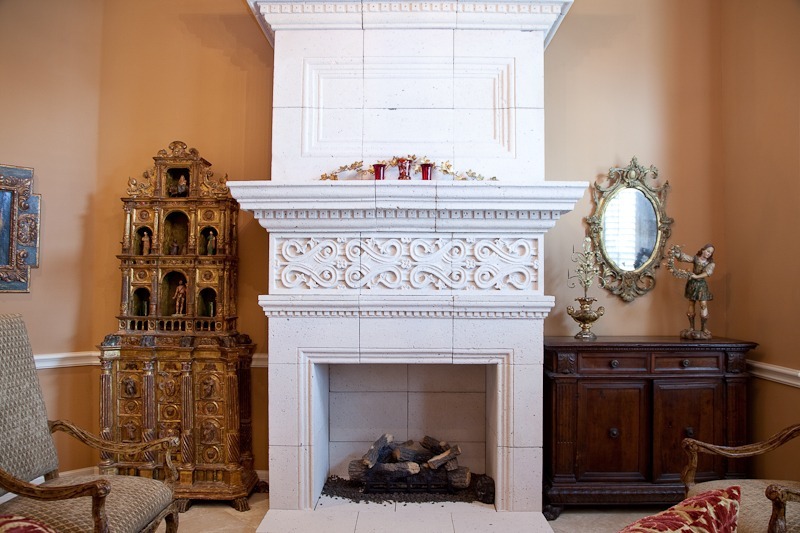 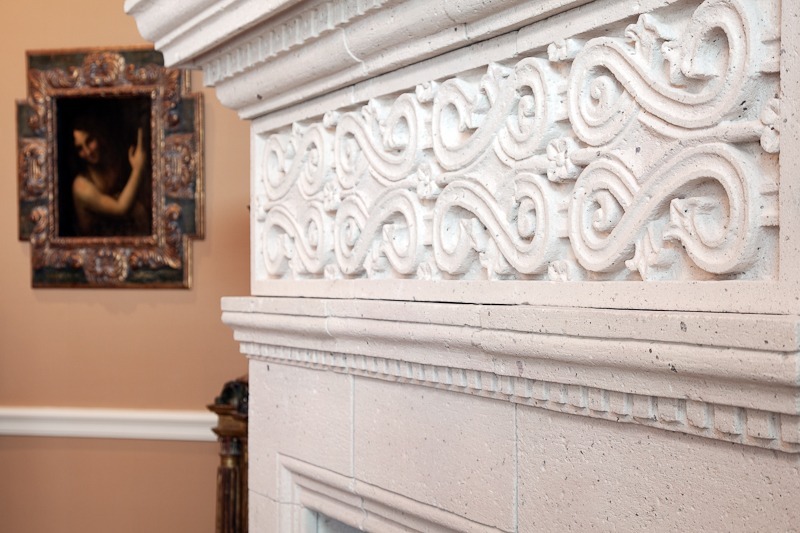 Downing Homes assembled and installed a custom hand carved stone fireplace from Mexico in the library where there was previously no fireplace. 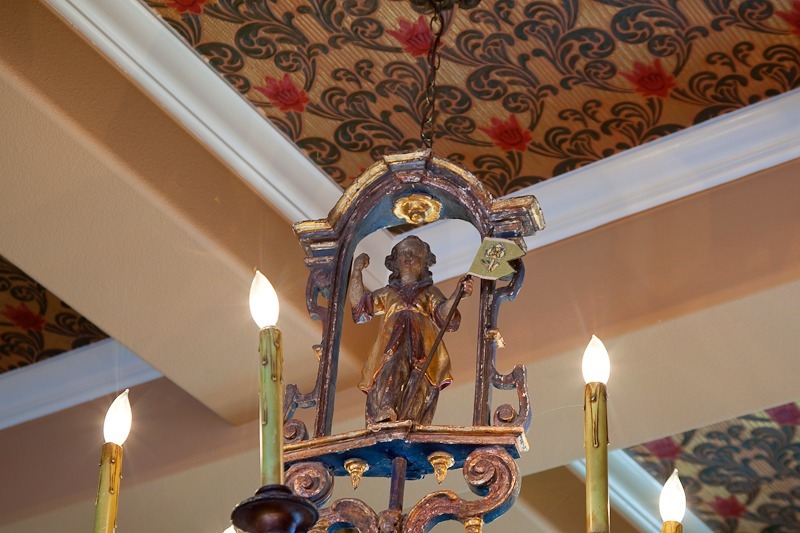 The living room ceiling had custom designed, individually painted tiles applied to create the incredible image above. 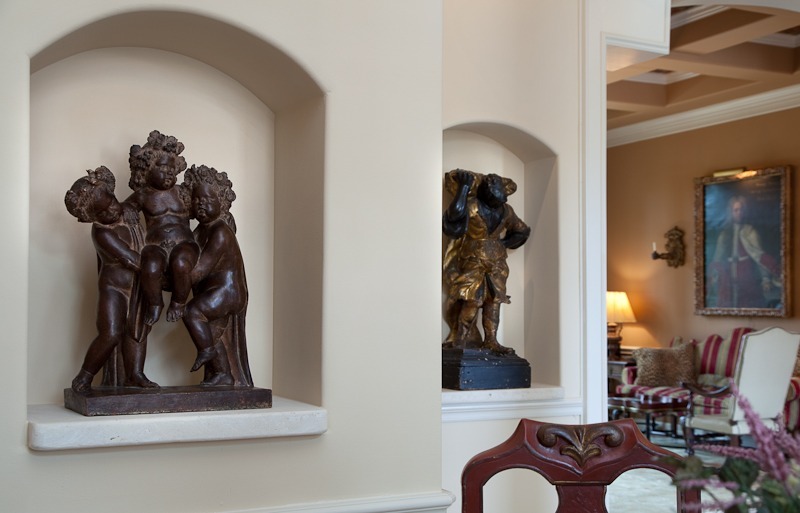 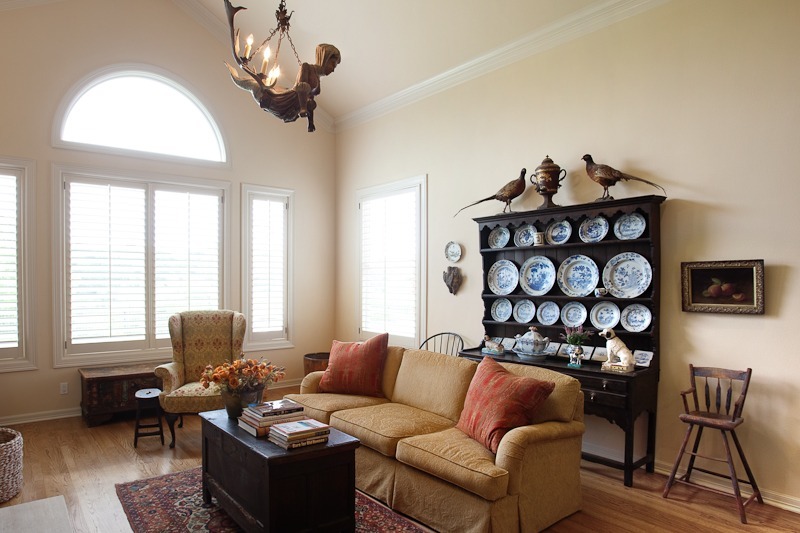 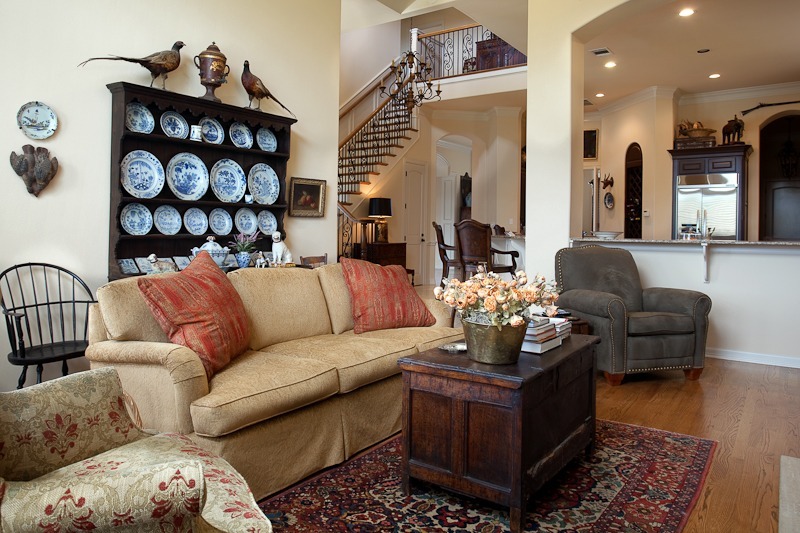 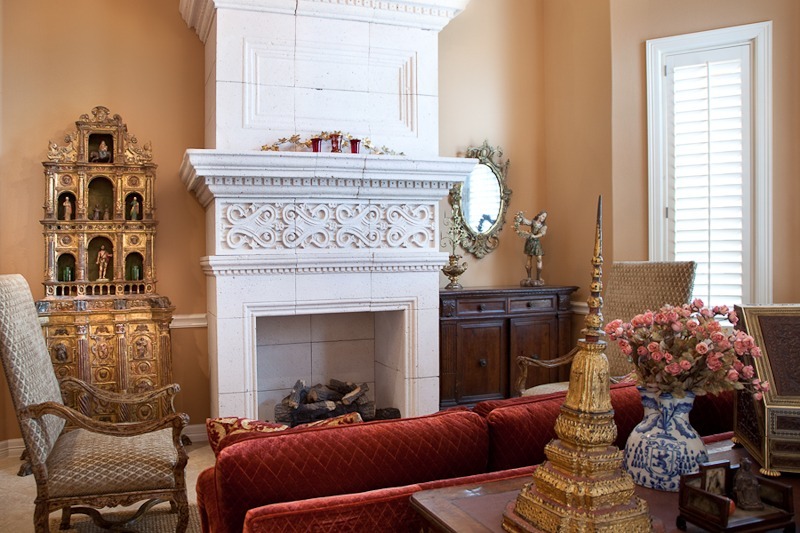 The interior was remodeled to create a more open floor plan with custom niches to display our client’s incredible antiques. 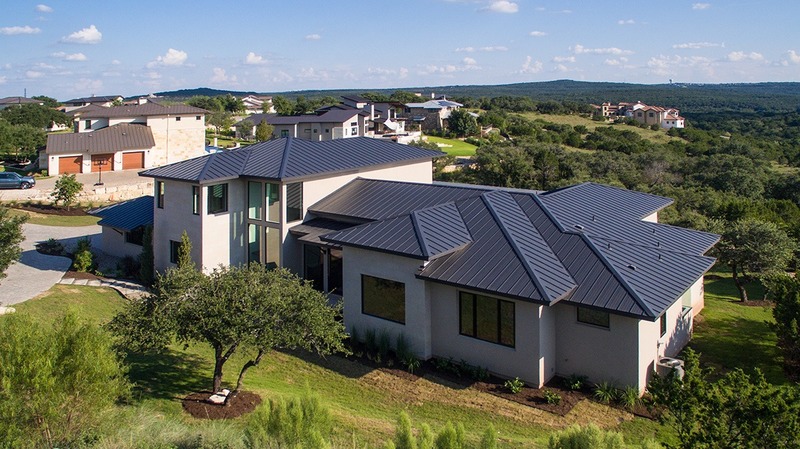 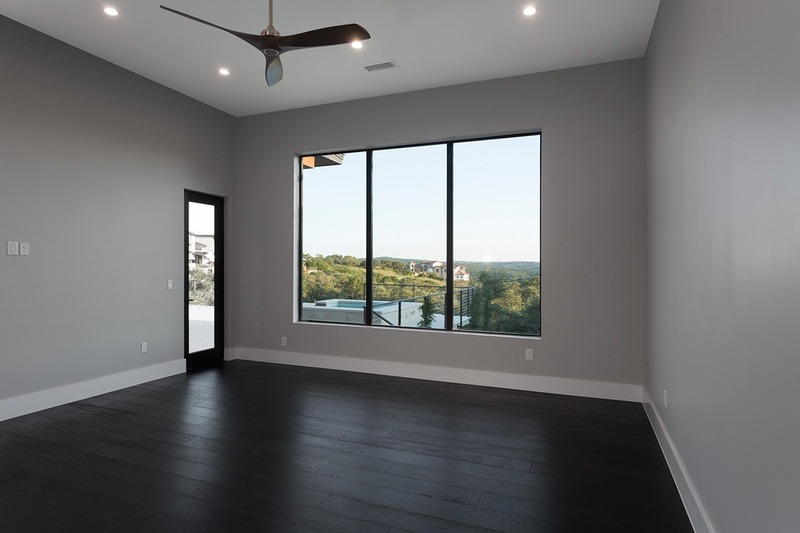 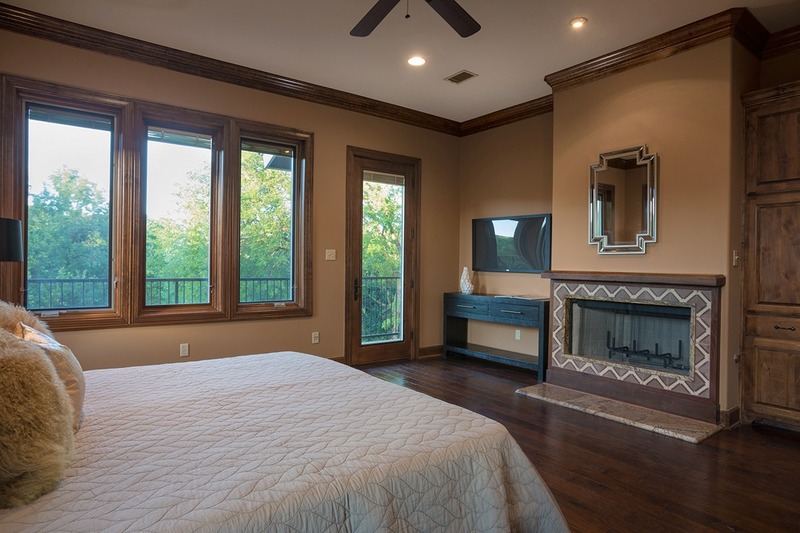 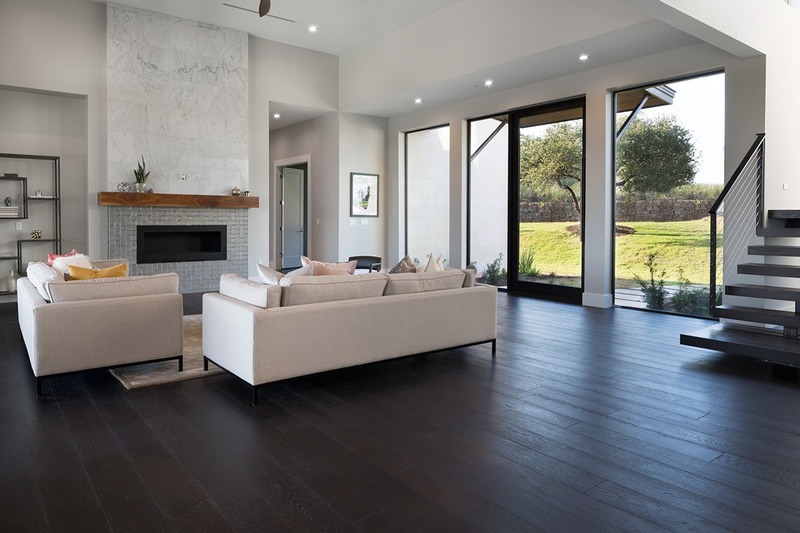 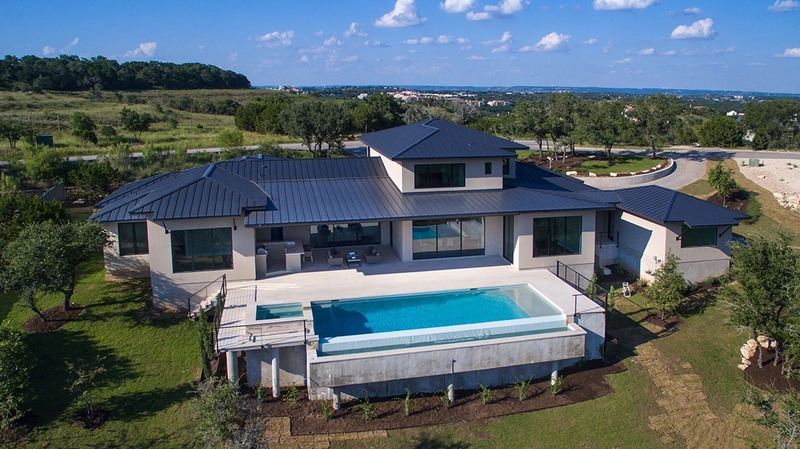 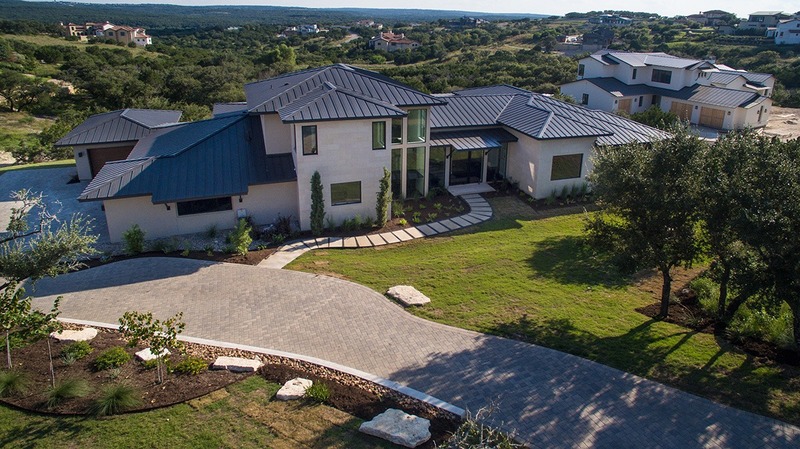 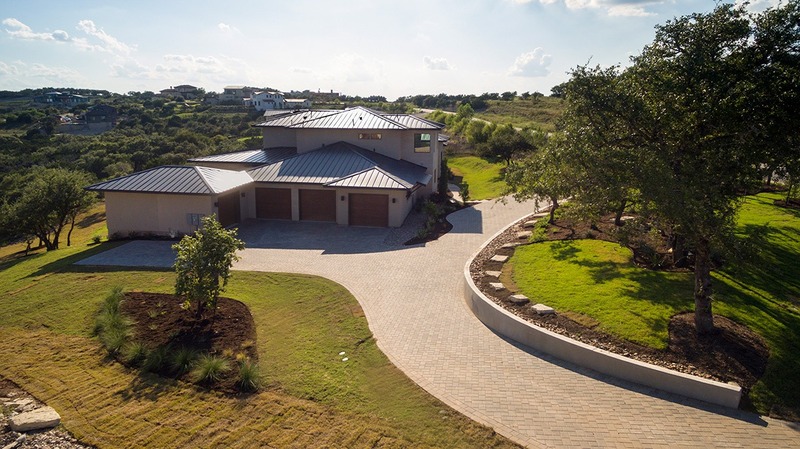 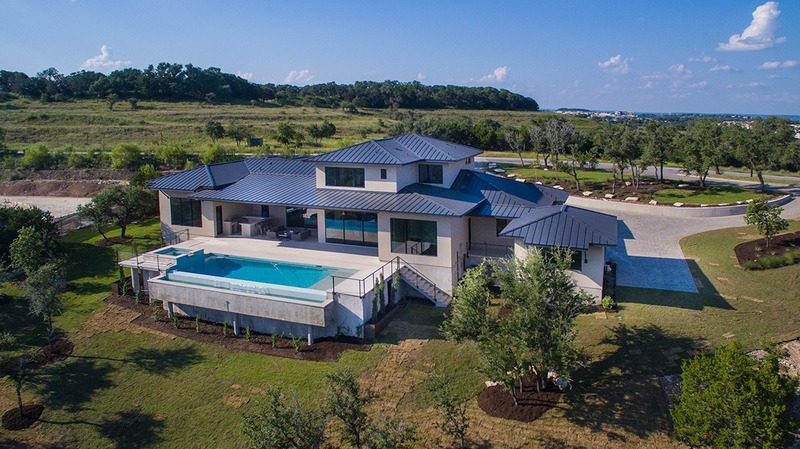 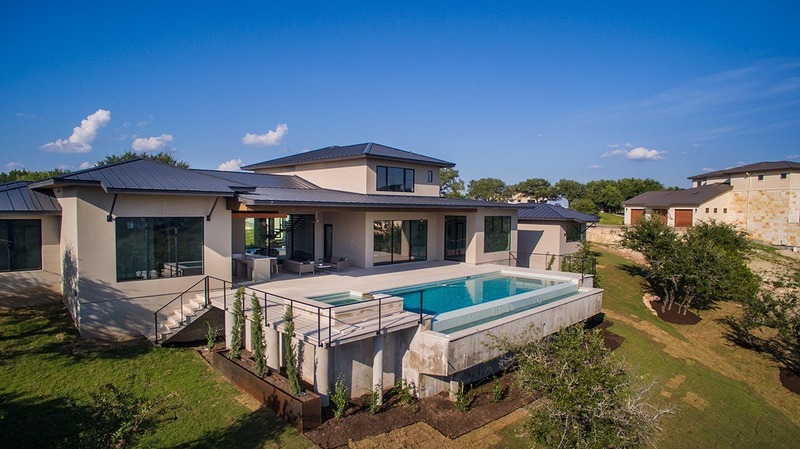 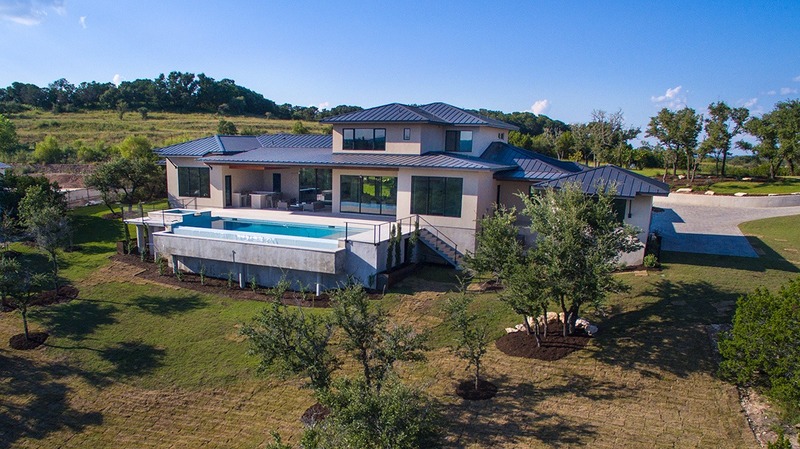 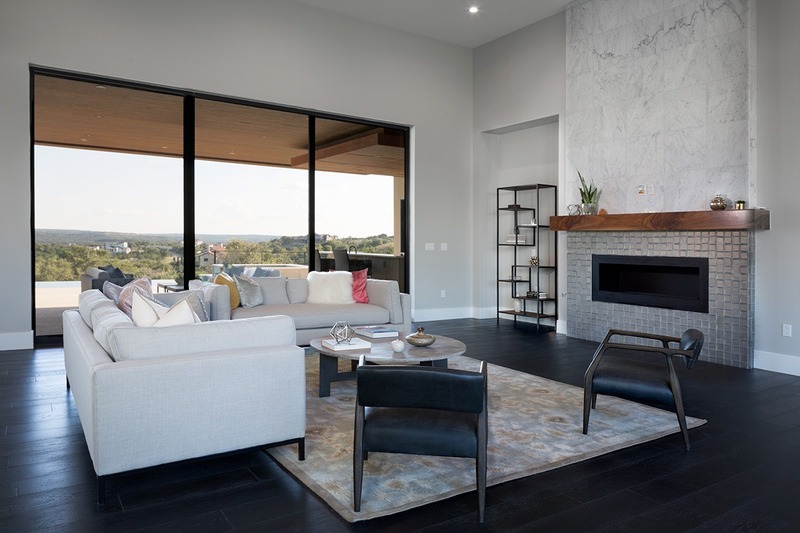 This 5,300 square foot, 5 bedroom Hill Country Contemporary home in Spanish Oaks was designed to take full advantage of the stunning Hill Country views off the back of the house. 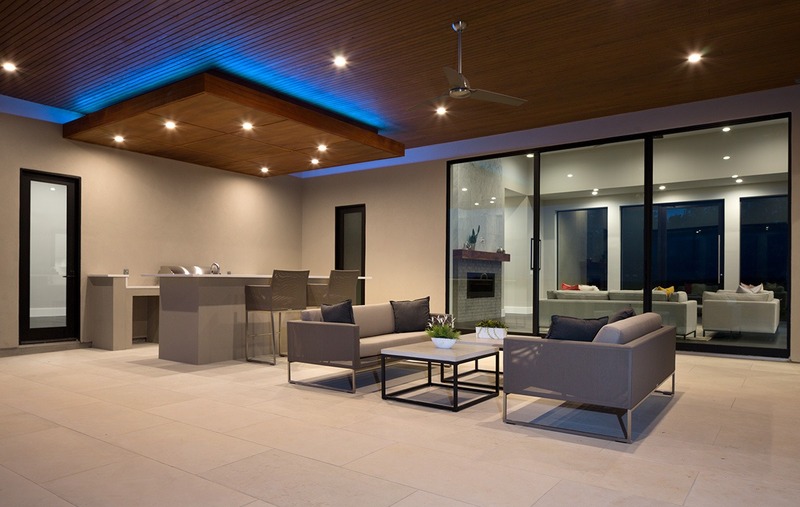 The living room and kitchen open out onto a fabulous outdoor patio and kitchen with an infinity edge pool. 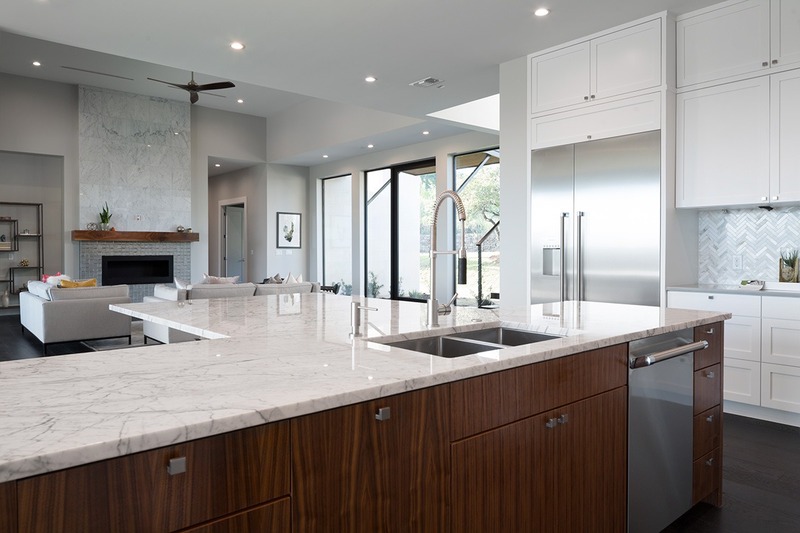 The home includes a custom steel staircase, marble kitchen island, and hand-finished stone on the outside of the house to achieve a particular look. 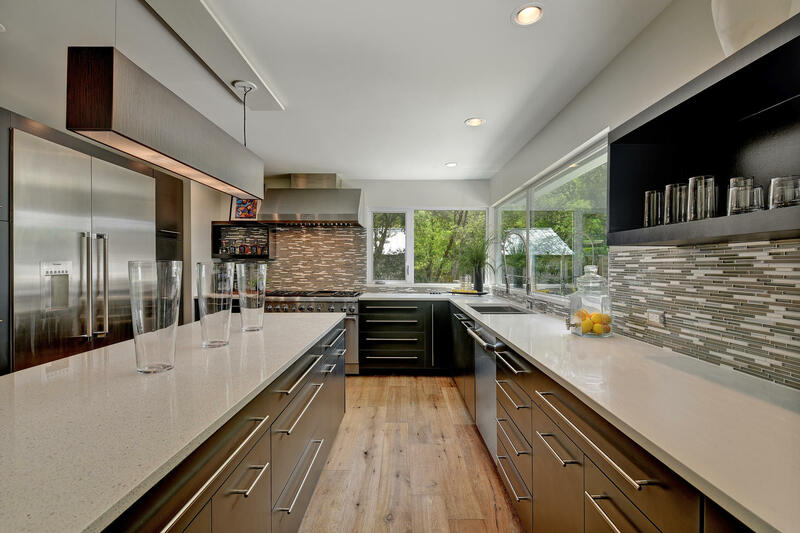 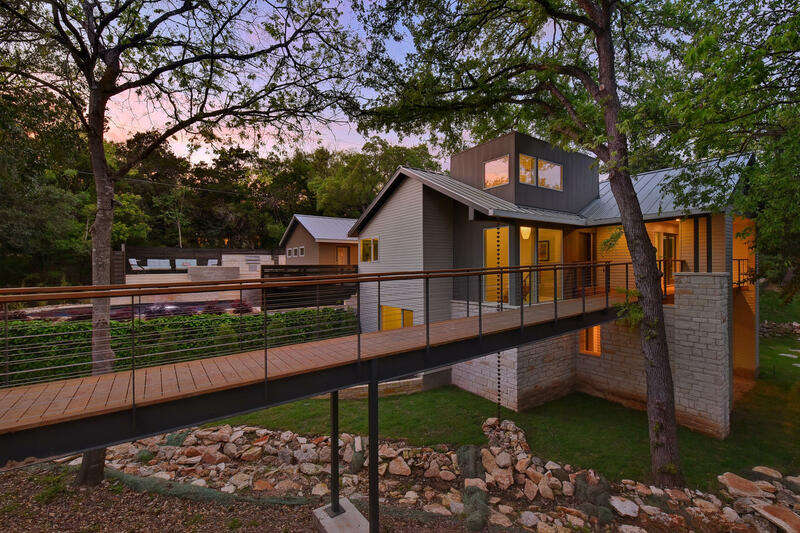 We transformed a 1970’s split-level house into a contemporary 4,000 square foot home. 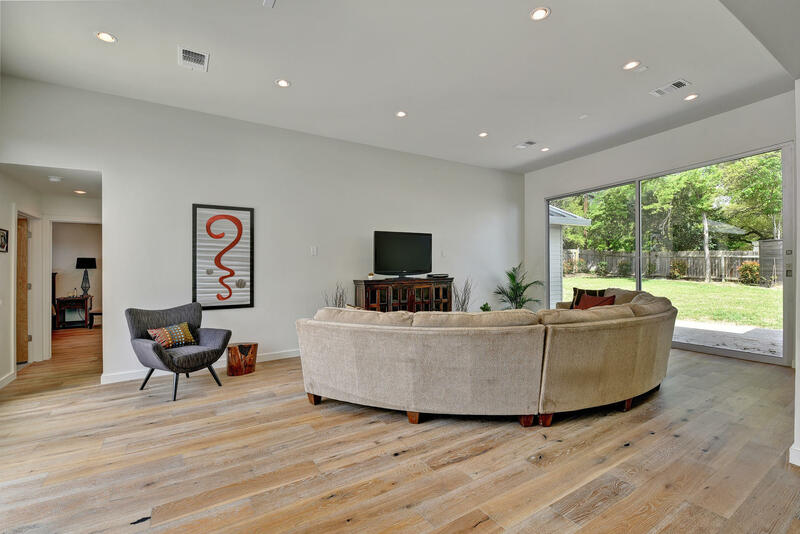 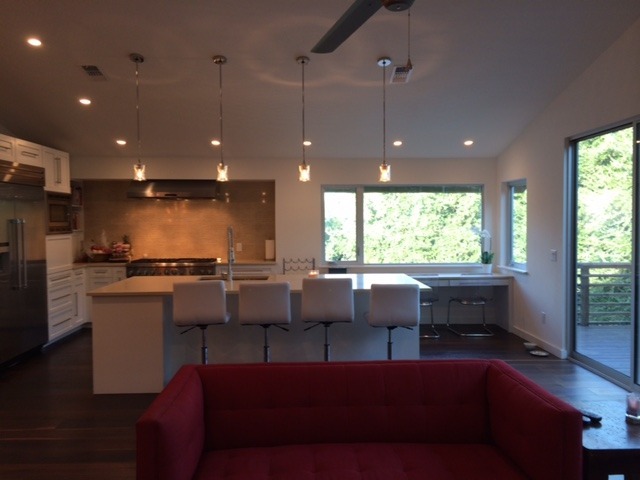 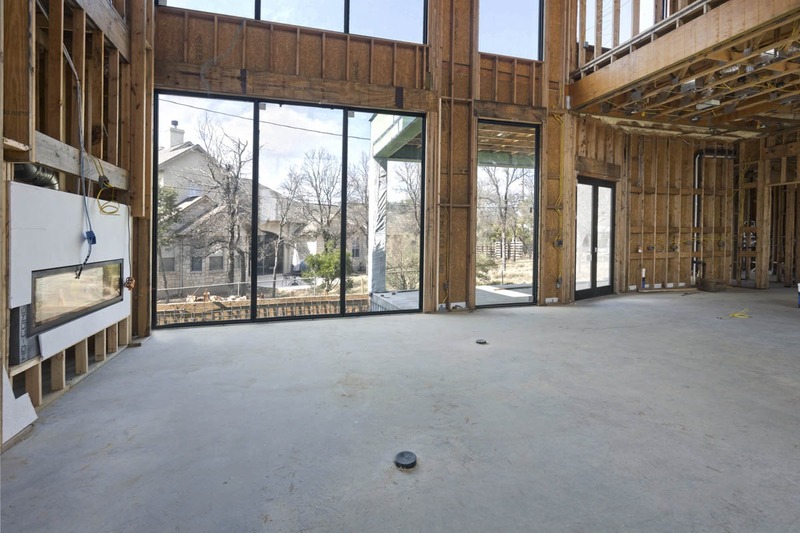 80% of the home was taken down to the studs and the floor plan was dramatically altered to create more spacious living that would accommodate the client’s desire to have entertainment space. 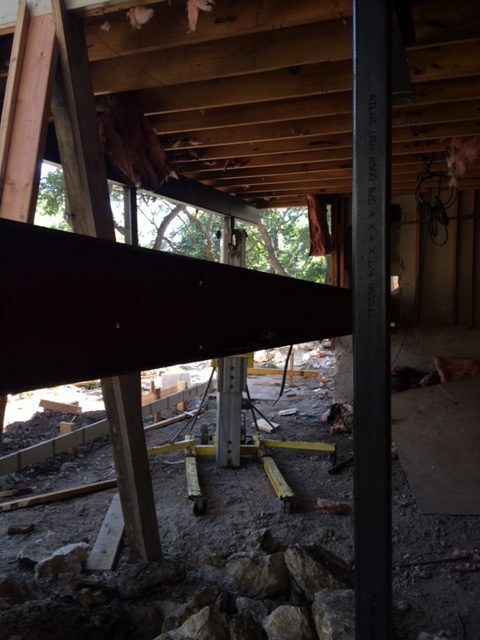 The game rooms wood paneling and wooden beams throughout the space were removed, leveraging steel columns and beams to enable us to open the whole space. 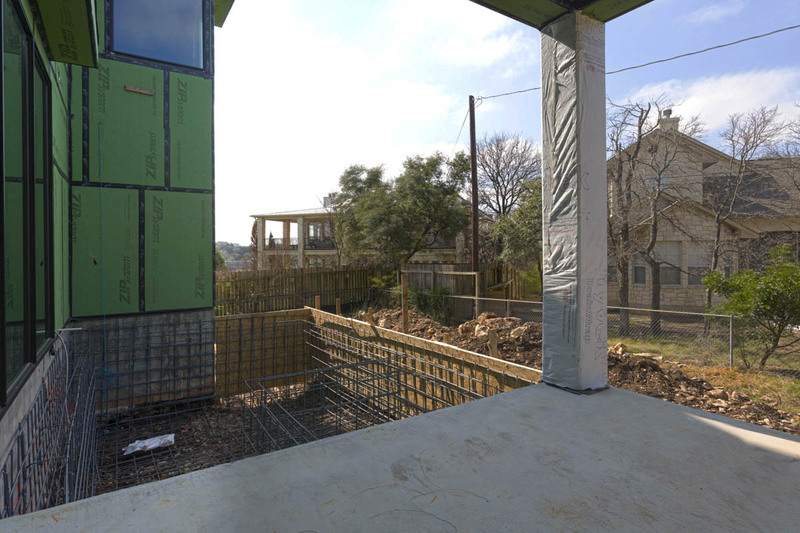 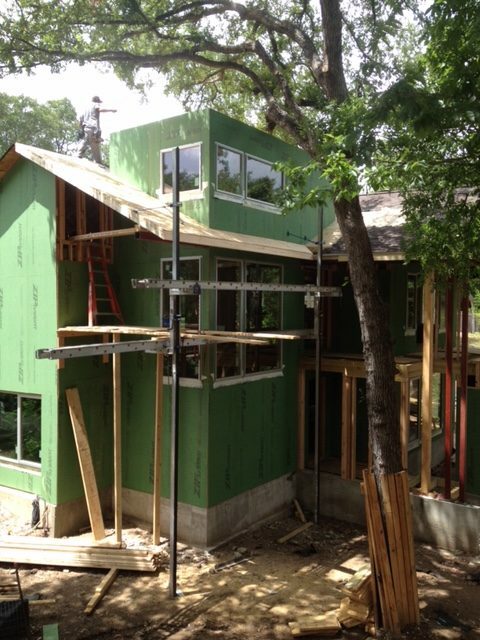 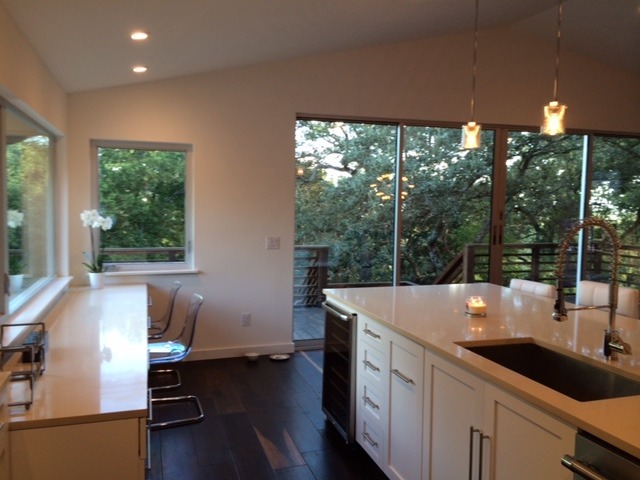 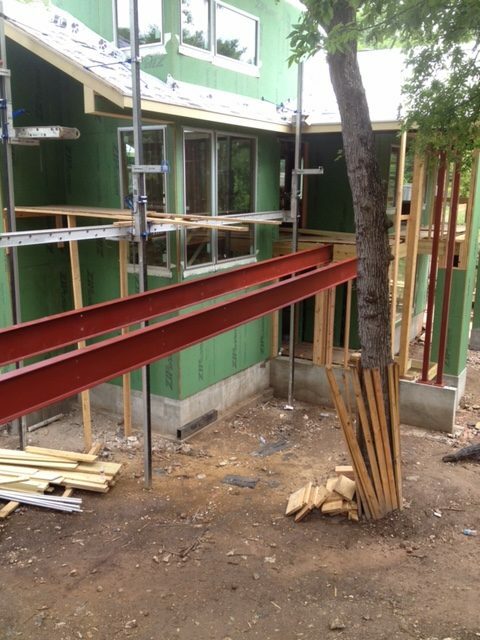 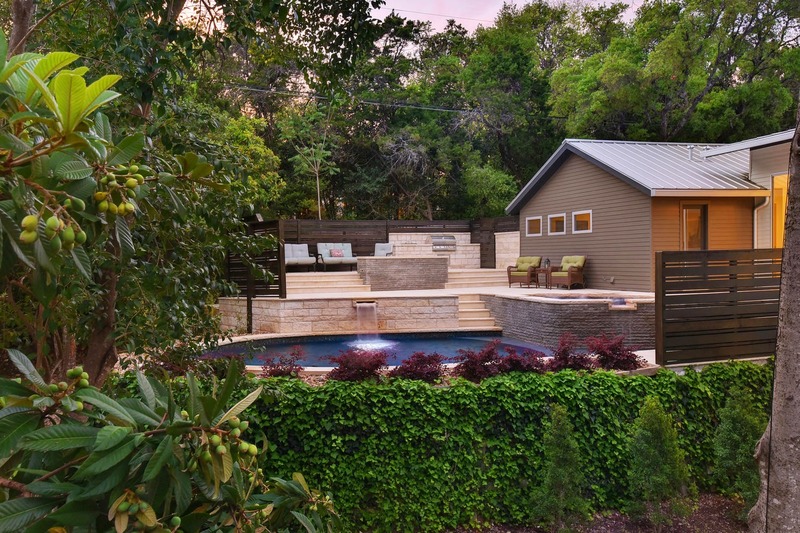 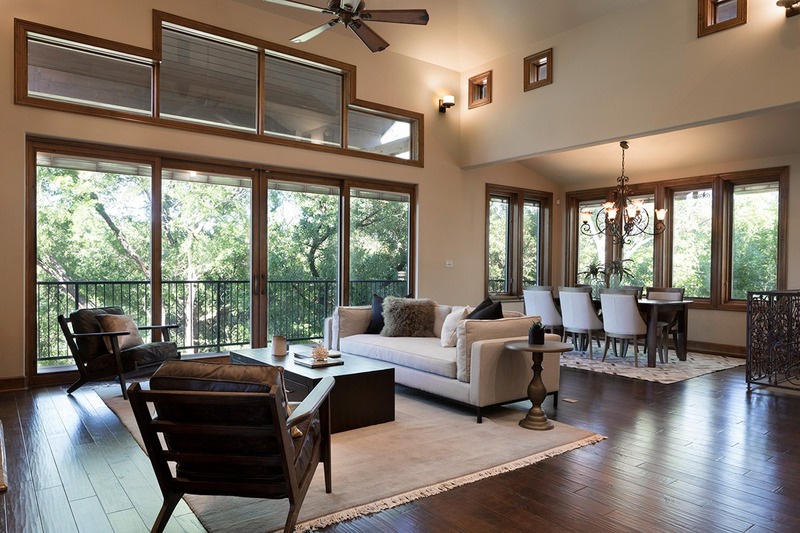 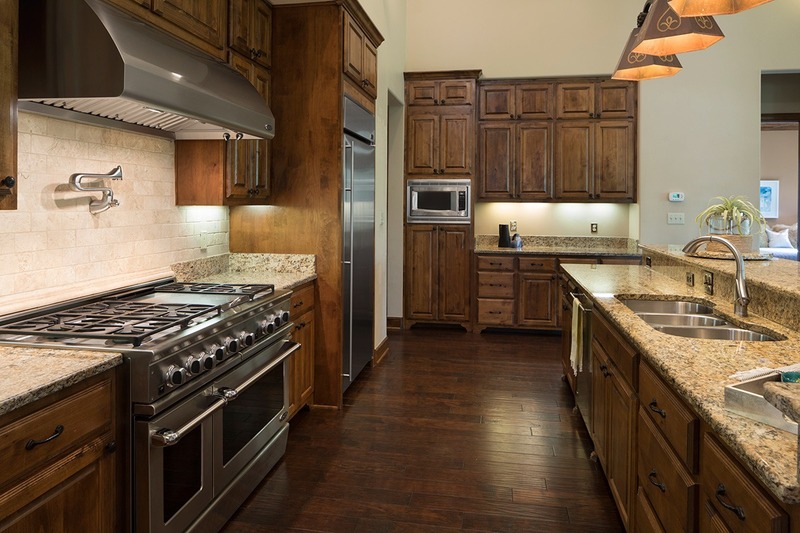 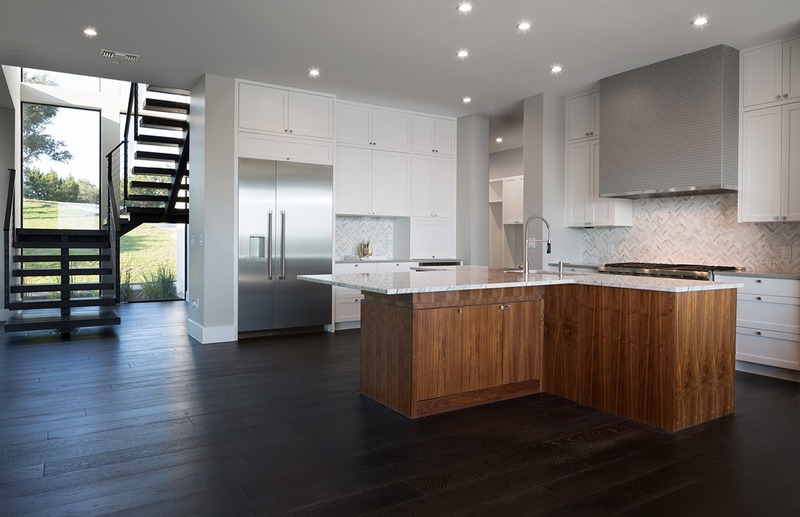 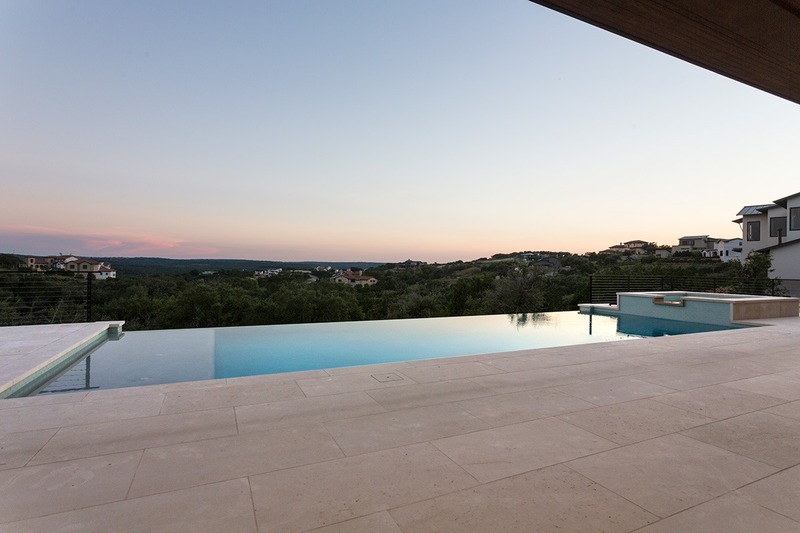 This home includes an incredible chef’s kitchen off the outside custom decks we designed with Austin city views. 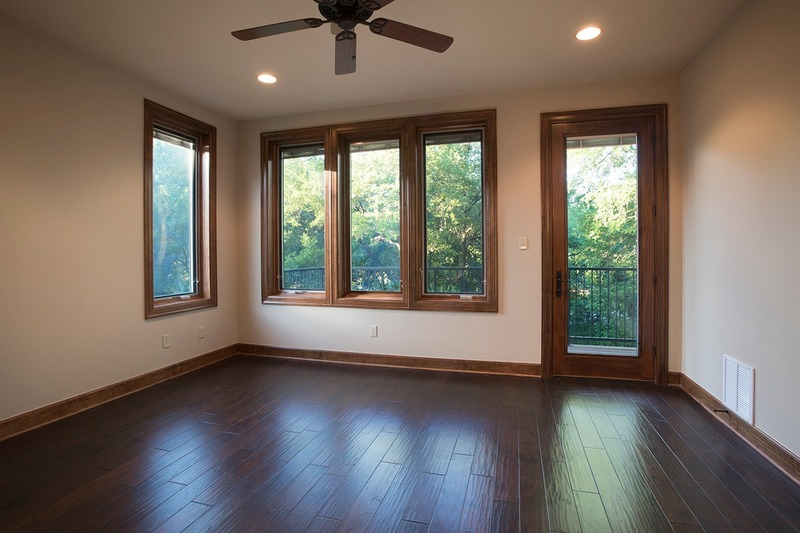 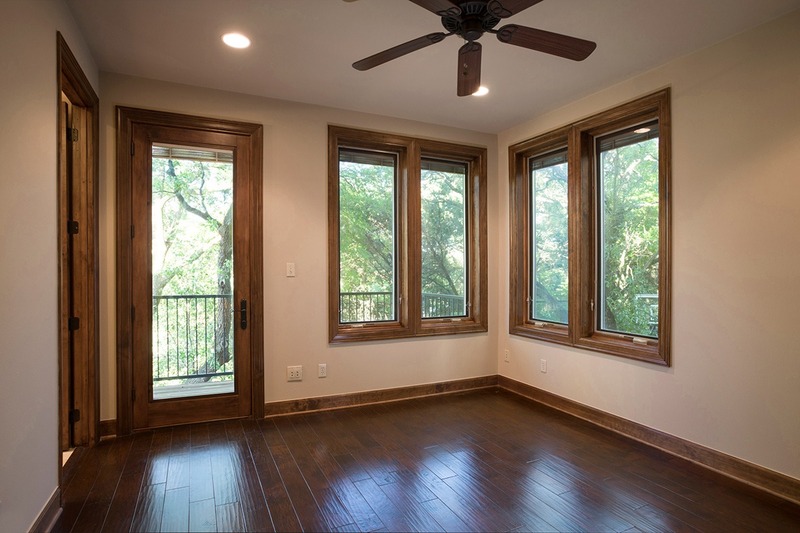 This 3-story traditional 3,400 square foot custom home in Treemont includes hand-hewn beams, custom-made doors, and elevator shaft. 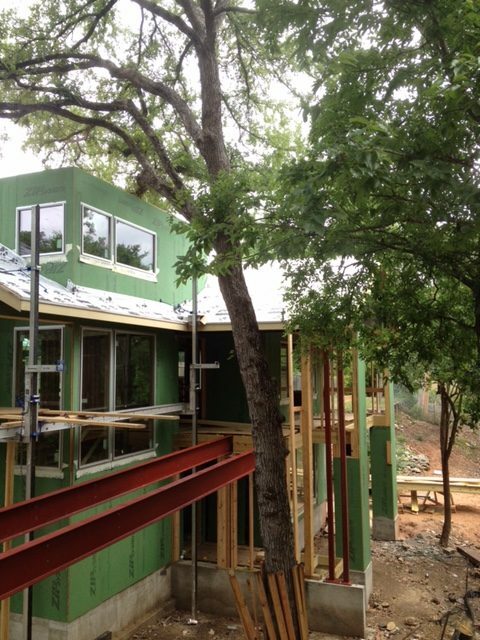 The topography (steep drop off the back of a cliff) and shape of the lot made this build challenging. 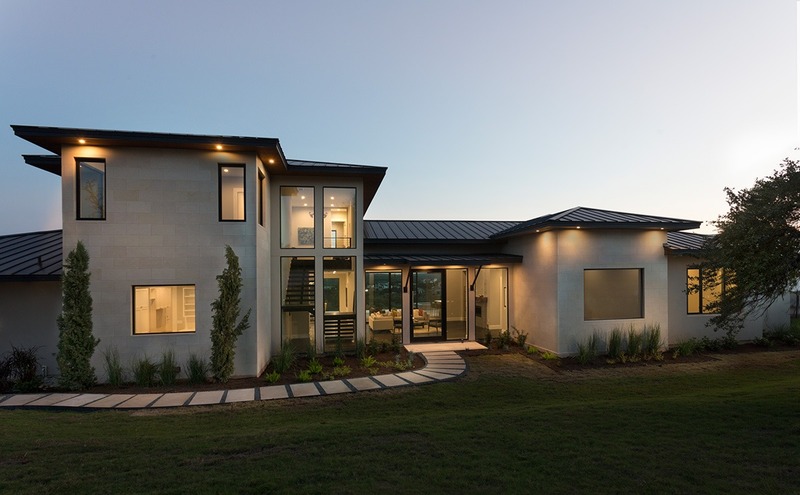 Downing Homes worked with the architects to maximize the lot’s space given the building restrictions including those imposed by the gated community. 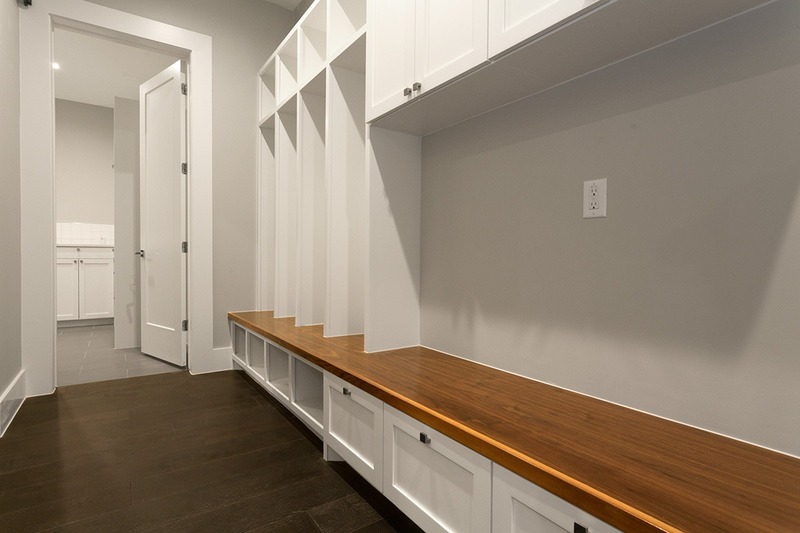 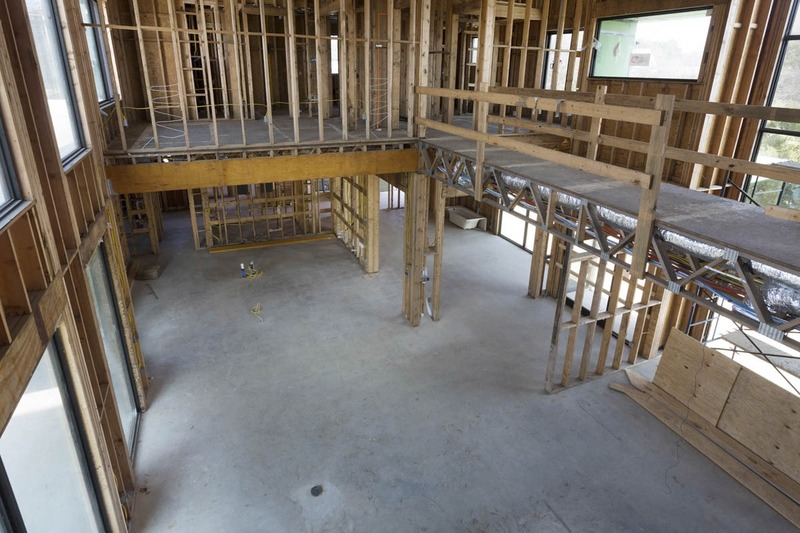 This 3,500 square foot project required taking the entire house down to the studs and replacing all mechanical, electrical and plumbing while creating an entirely different floor plan. 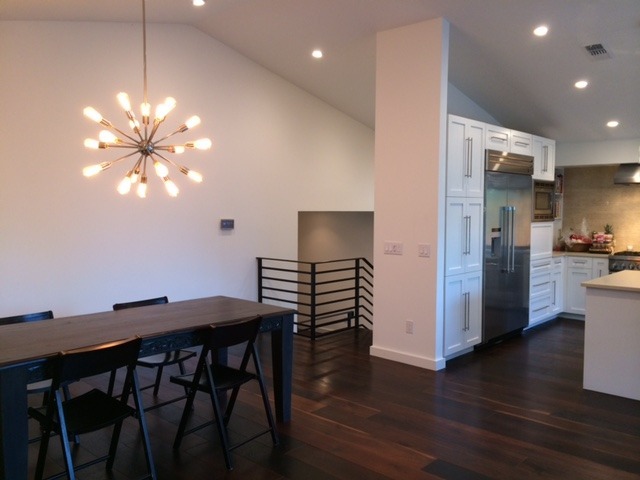 We cut the middle of the house out and raised the ceiling plate height in the middle of the home to create new living space and relocated the stairs to create a new modern stair tower. 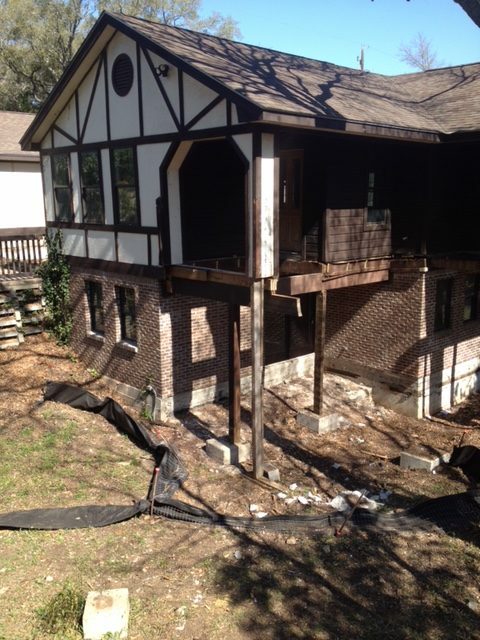 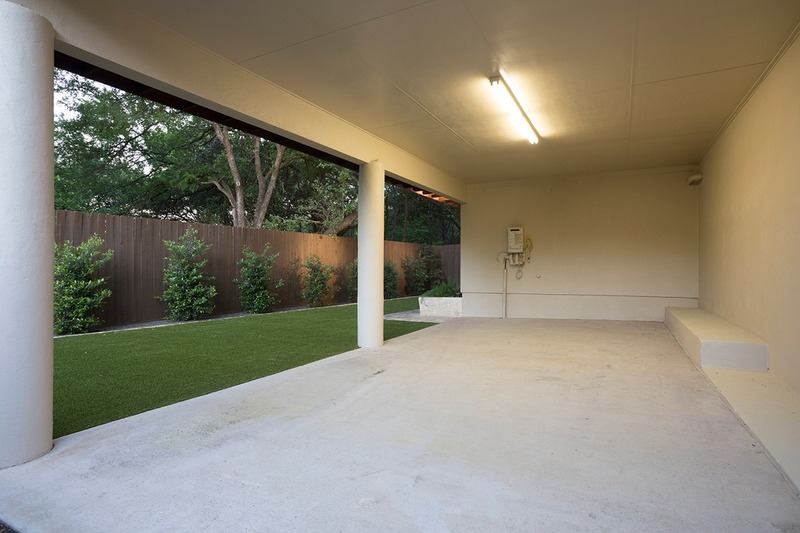 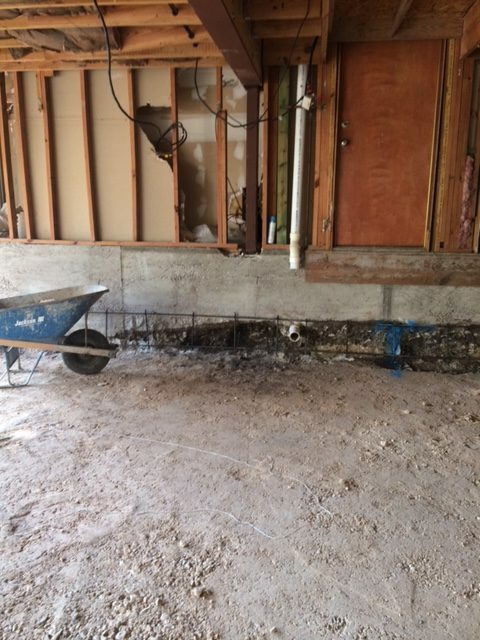 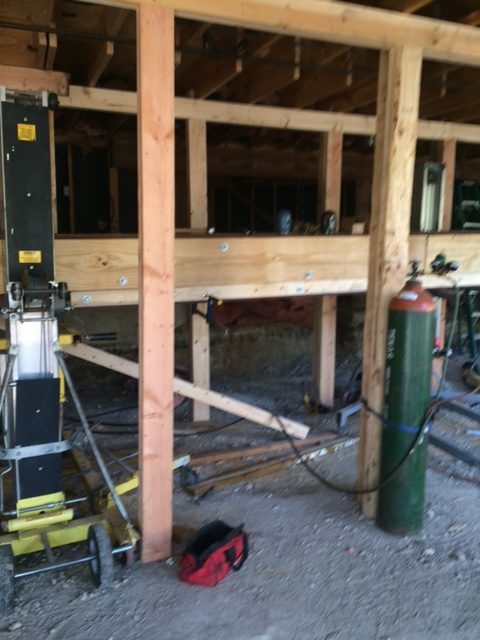 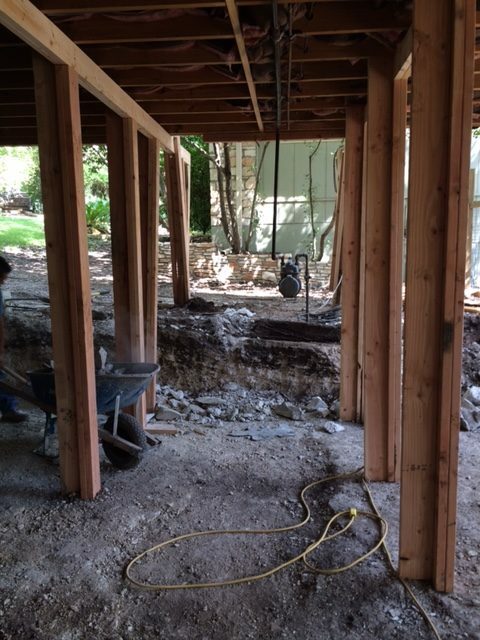 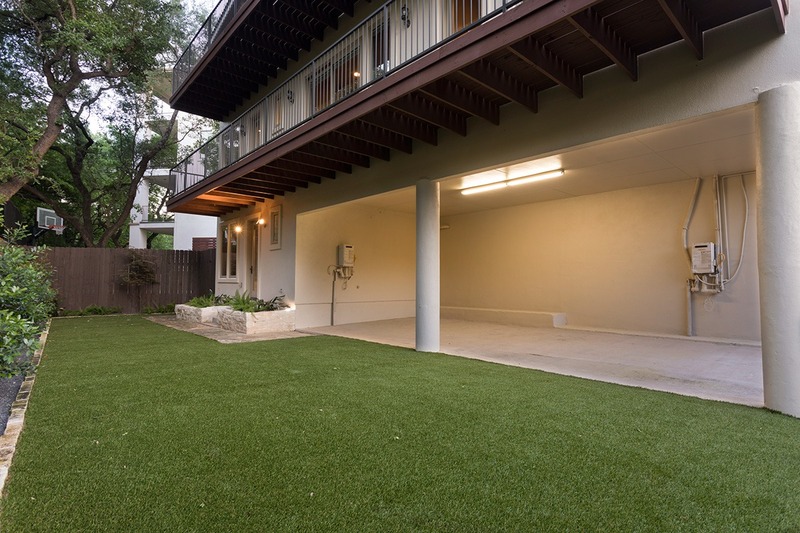 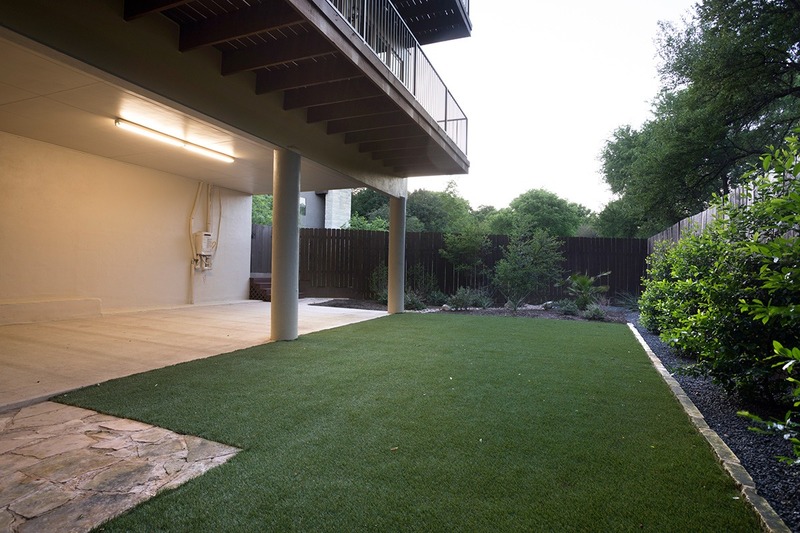 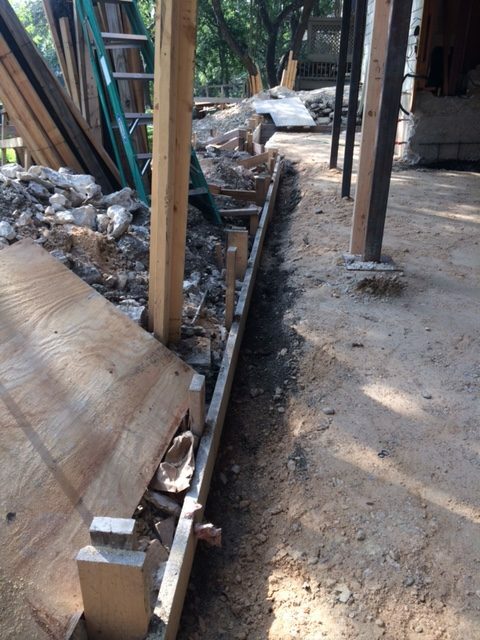 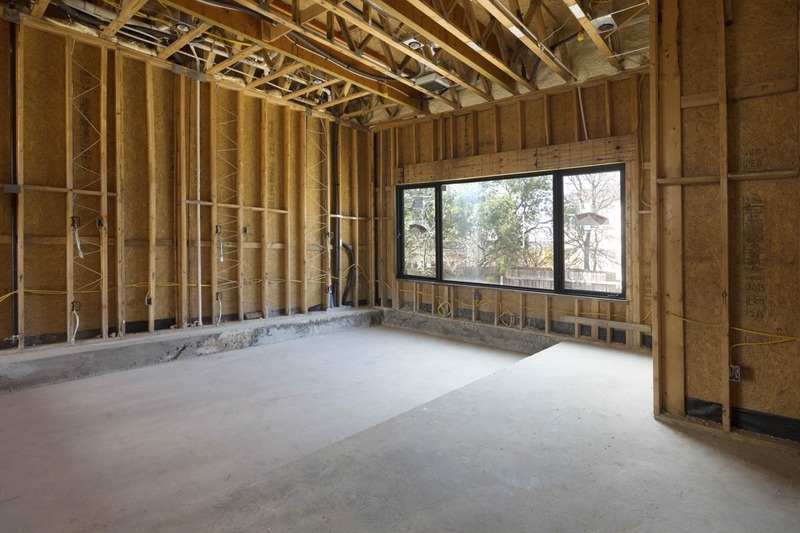 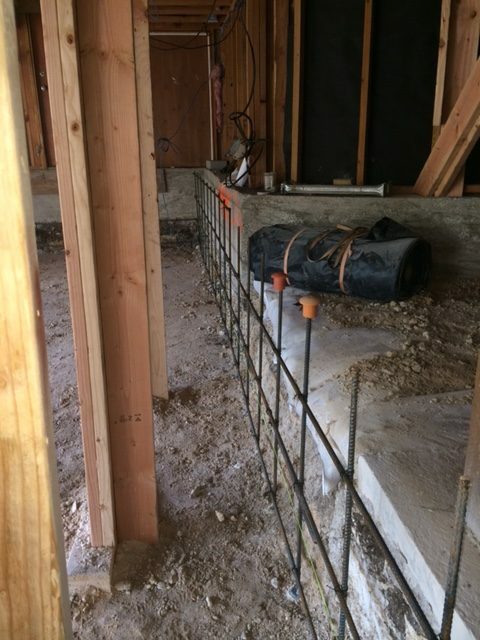 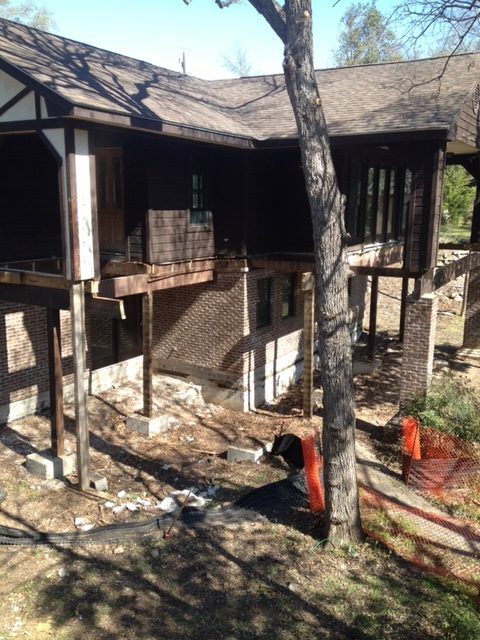 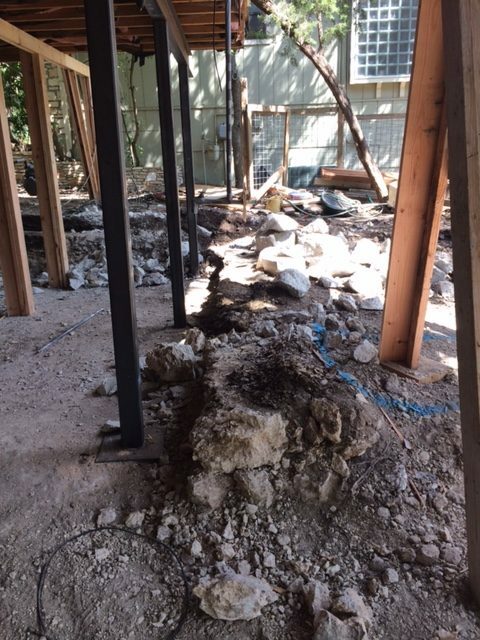 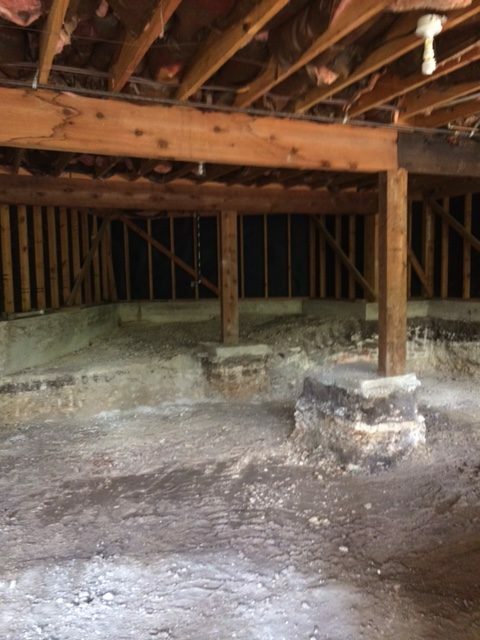 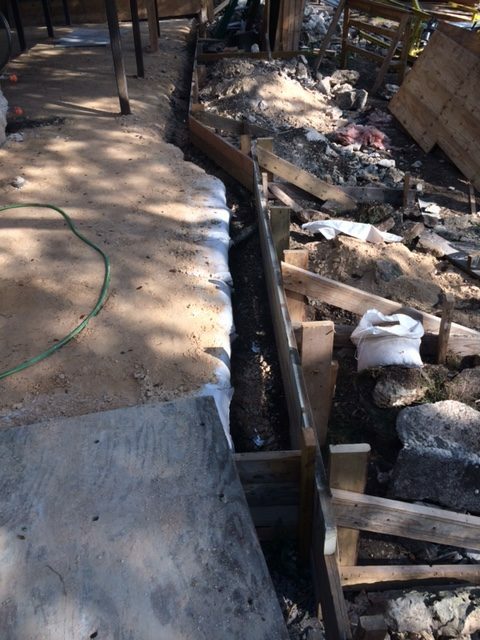 This was a really exciting project due to the complexity of excavating under the existing structure to create a new living space beneath the original home. 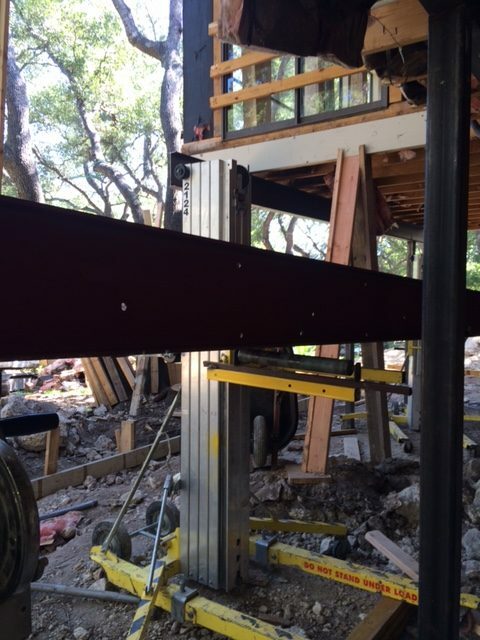 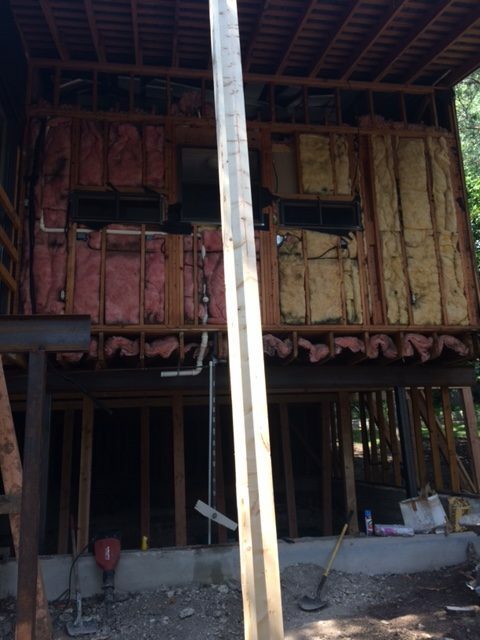 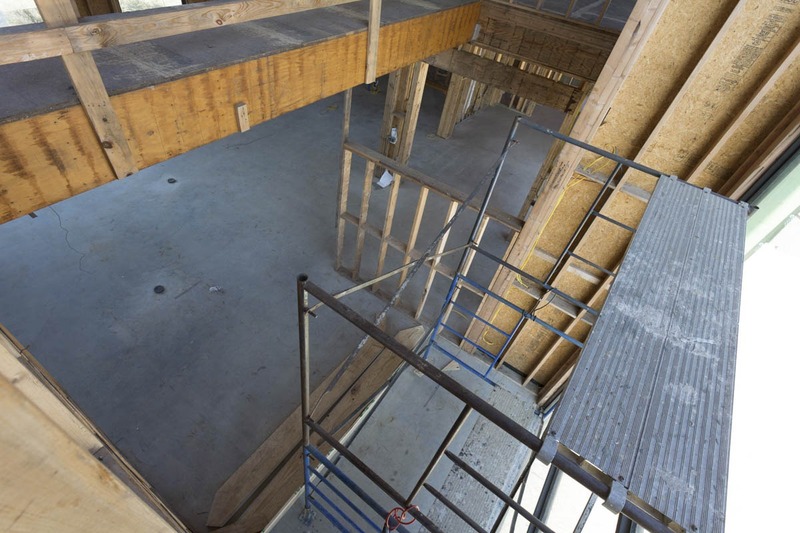 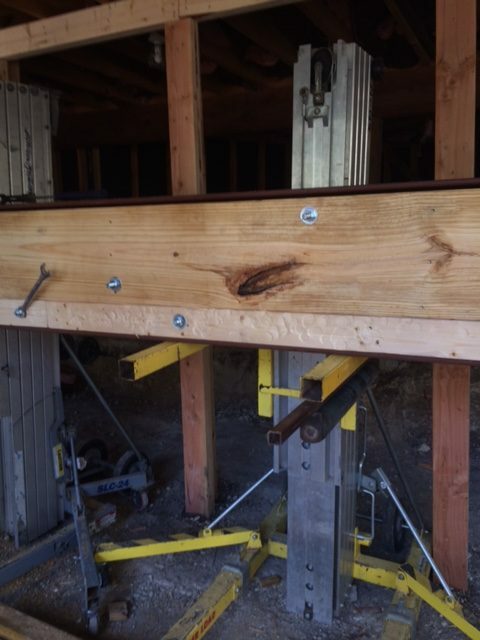 In addition to custom-built structural steel beams to carry the load of the existing home, the project required the movement of the internal staircase and changing of the roofline. 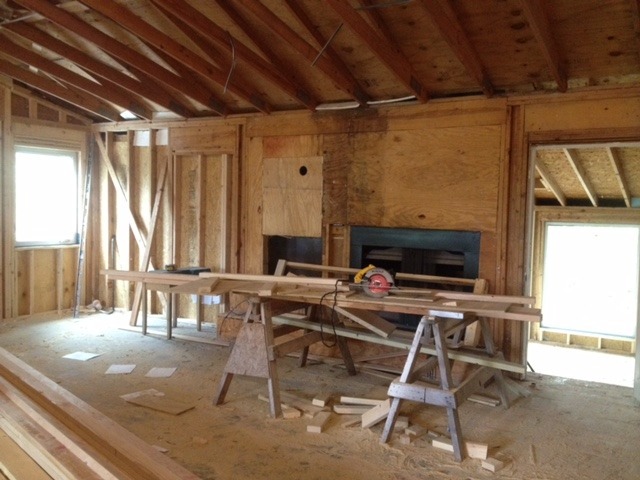 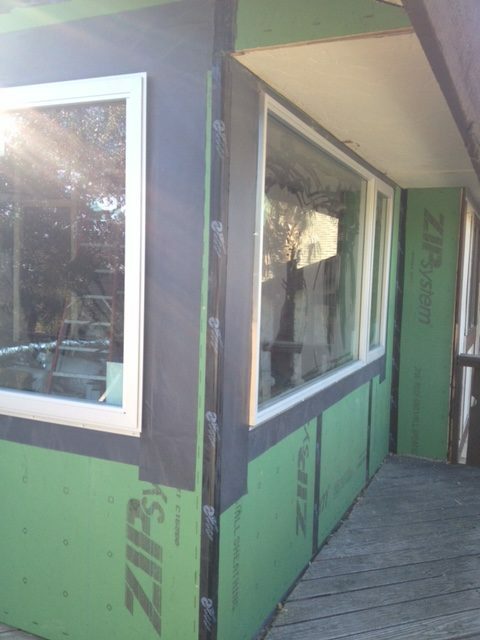 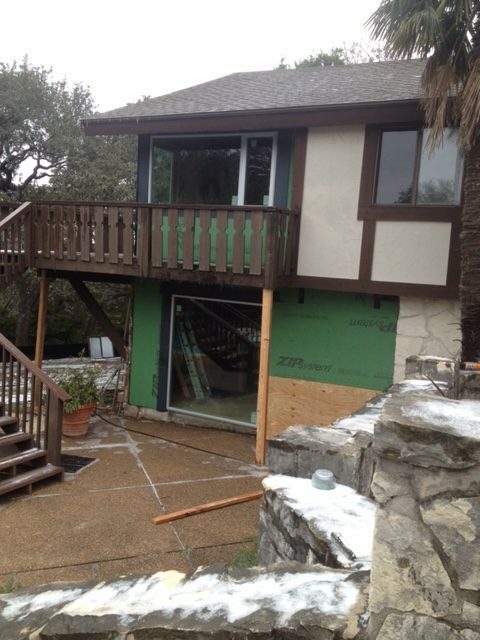 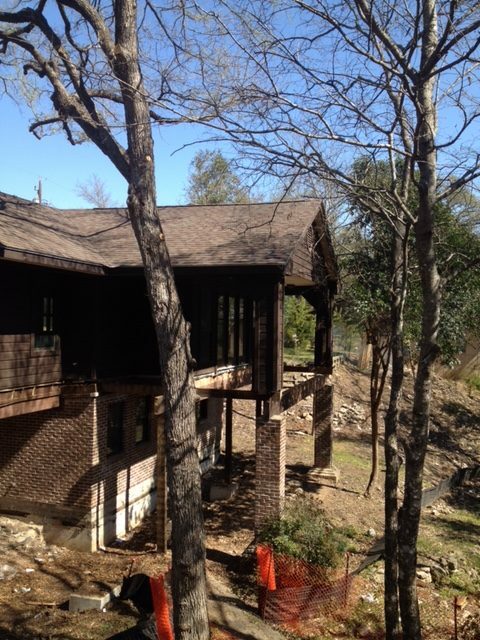 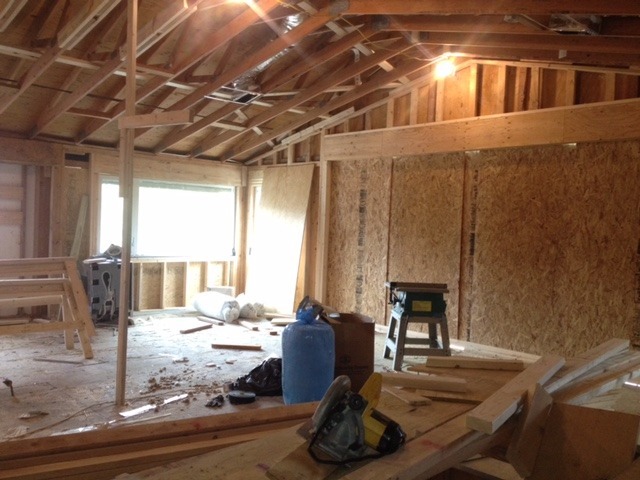 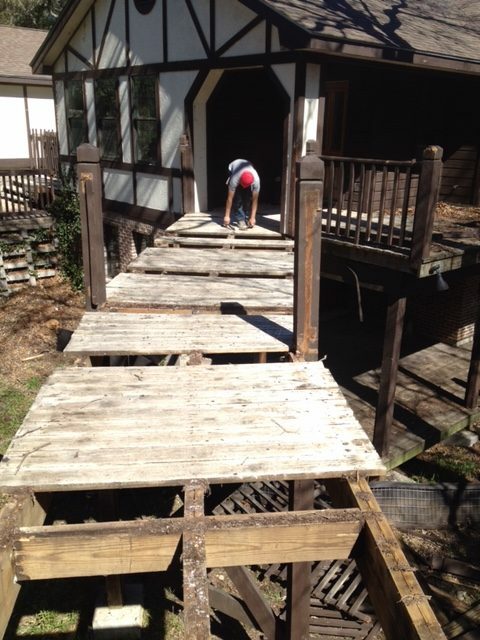 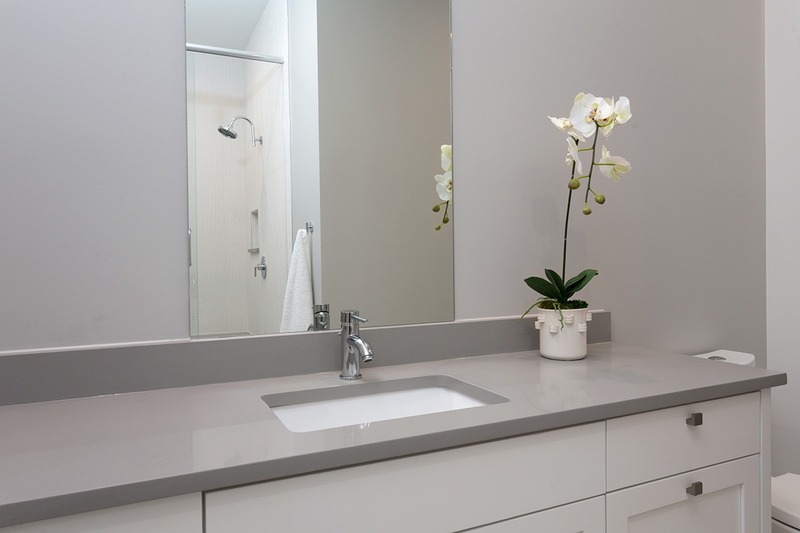 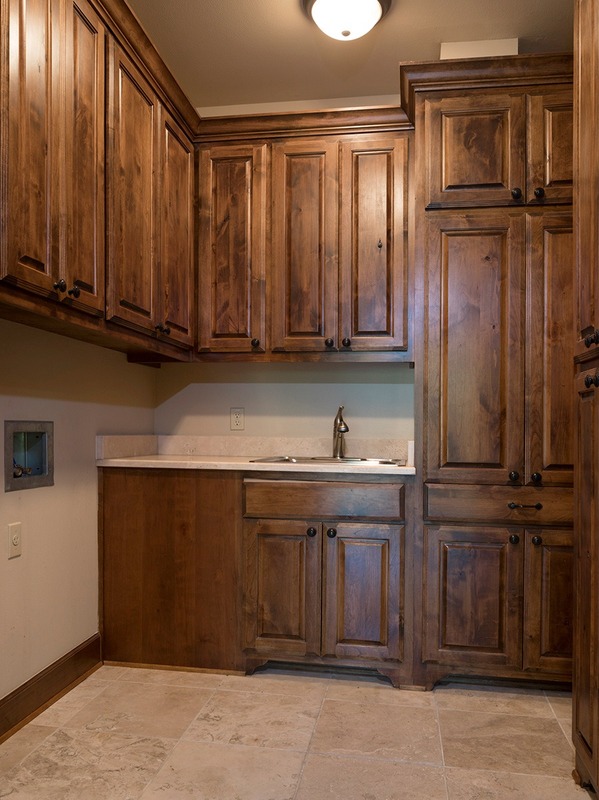 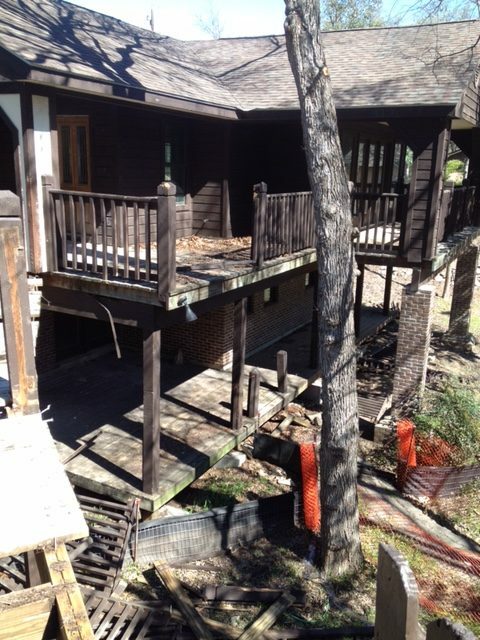 After the project was underway, our clients expanded the scope to remodel more of their existing home. 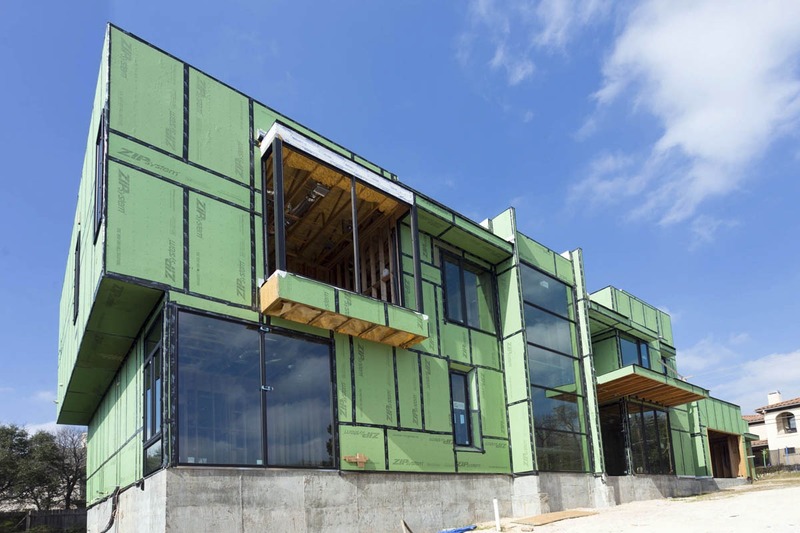 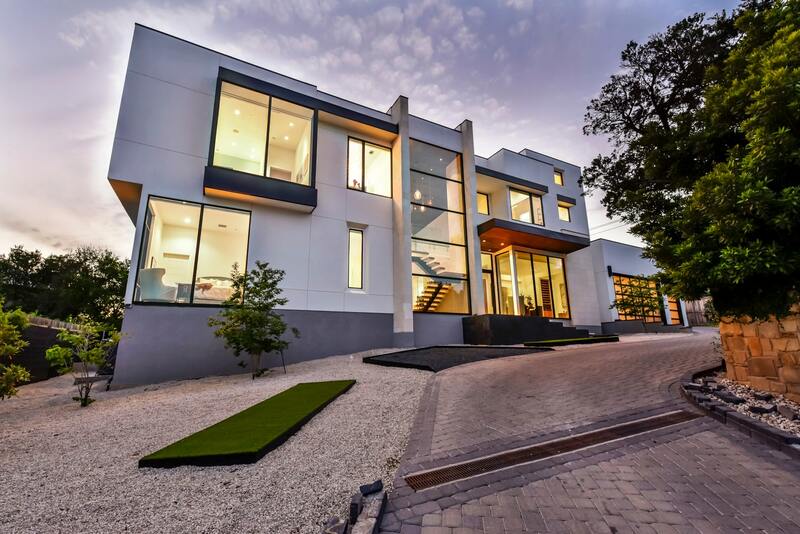 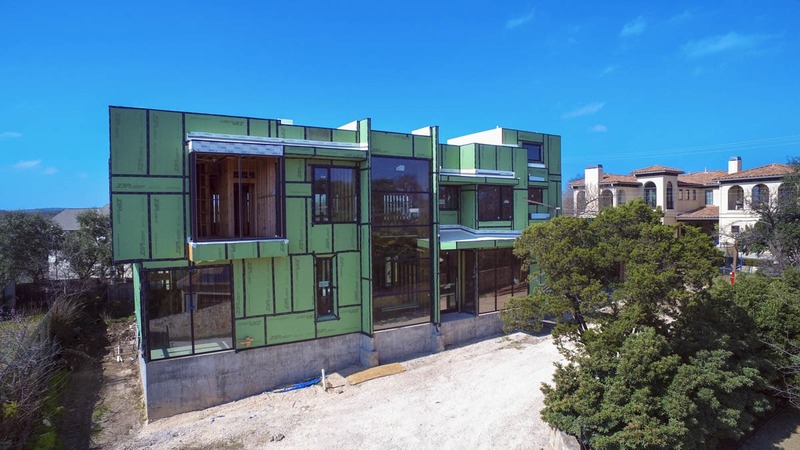 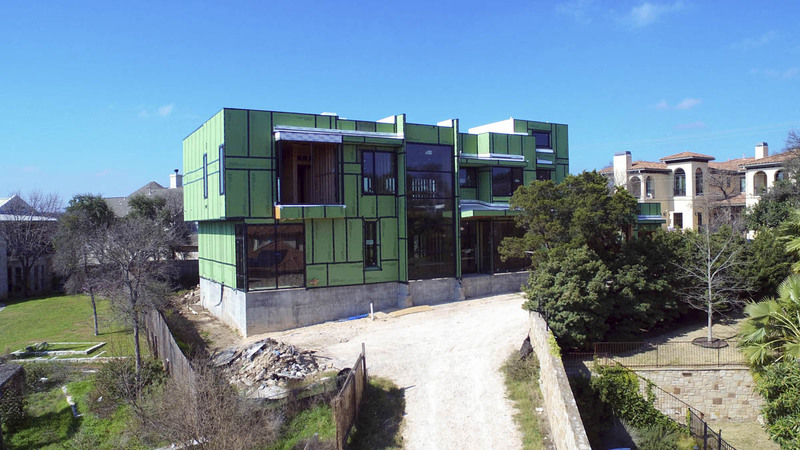 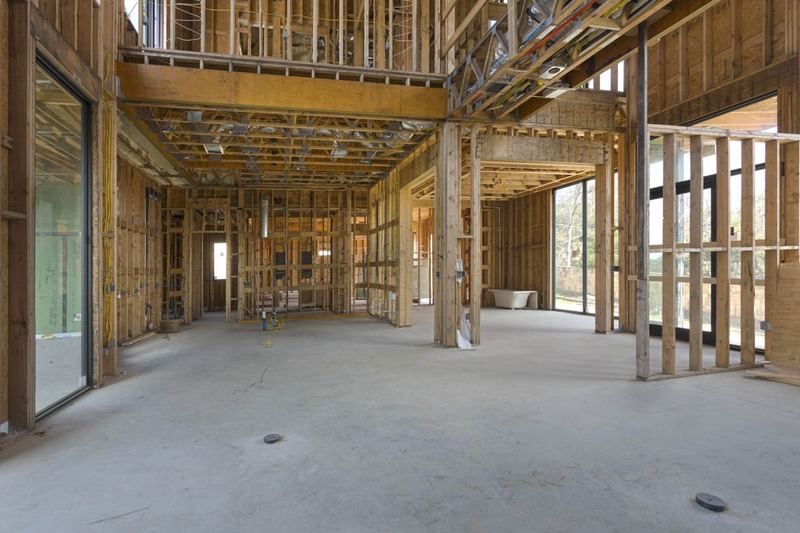 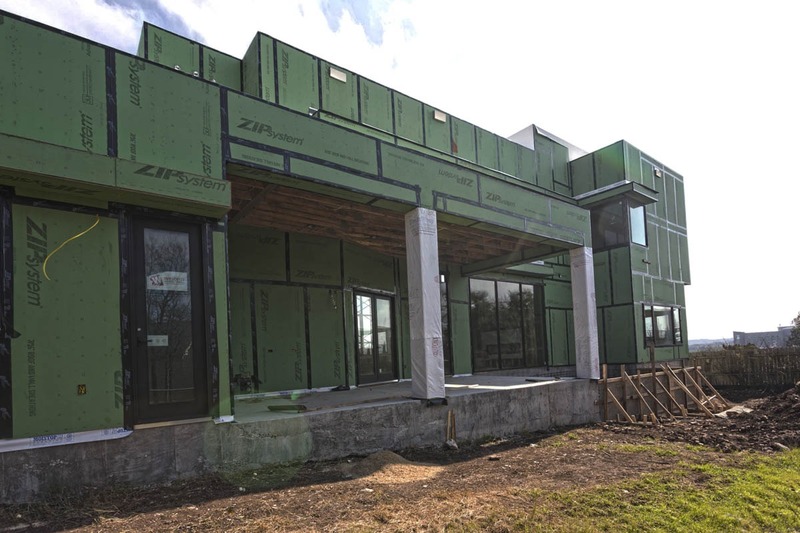 This 5,000 square foot modern custom built home has an incredible stair tower with ground to ceiling windows which were particularly challenging due to the heights, weight and stacking of the units. 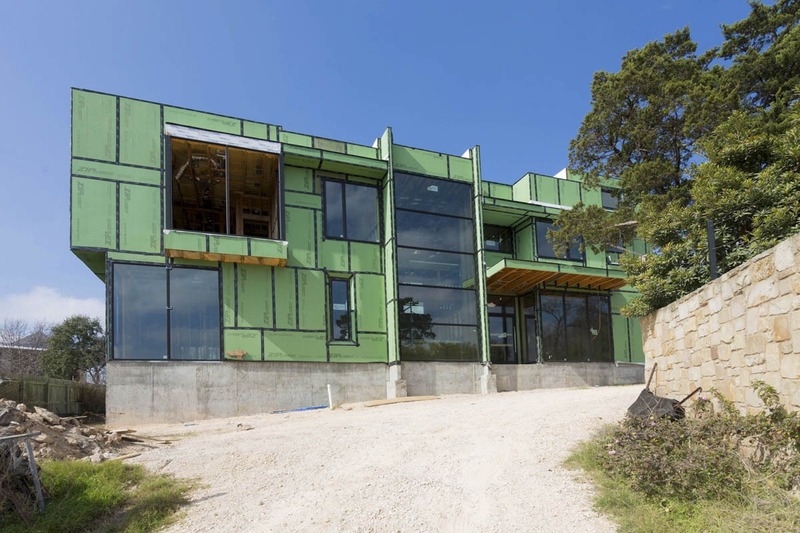 The craftsmanship of this home is spectacular, encompassing a glassed-in catwalk and face-cut stone on the exterior. 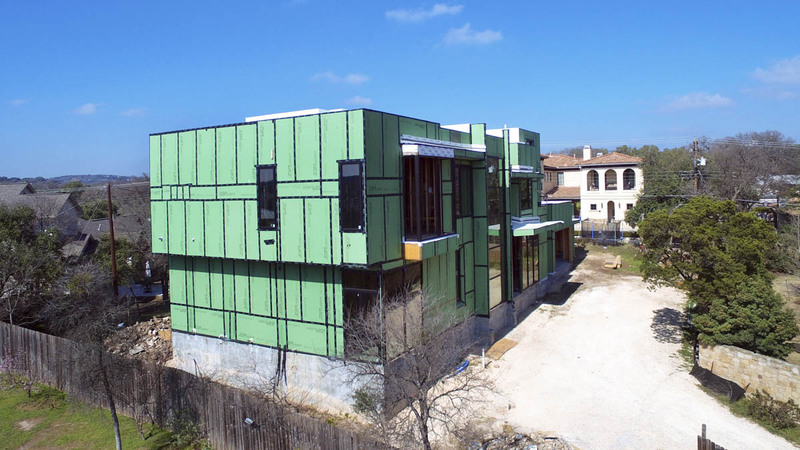 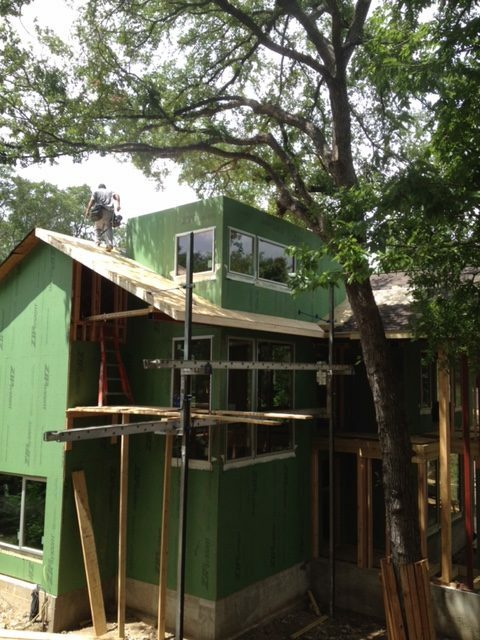 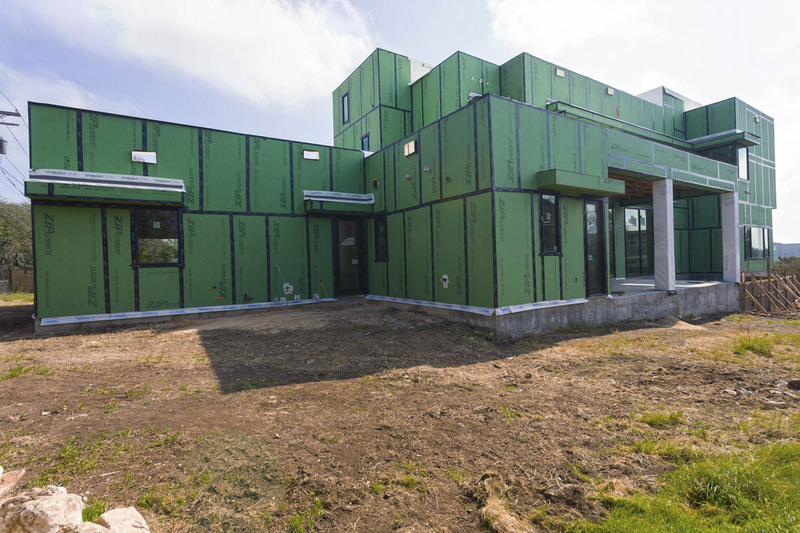 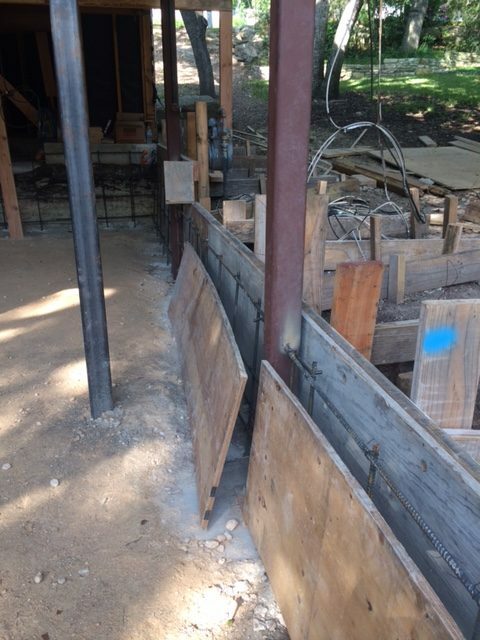 The project included a rain collection system, which complied with the requirements of the Texas Commission on Environmental Quality and the City of Rollingwood.